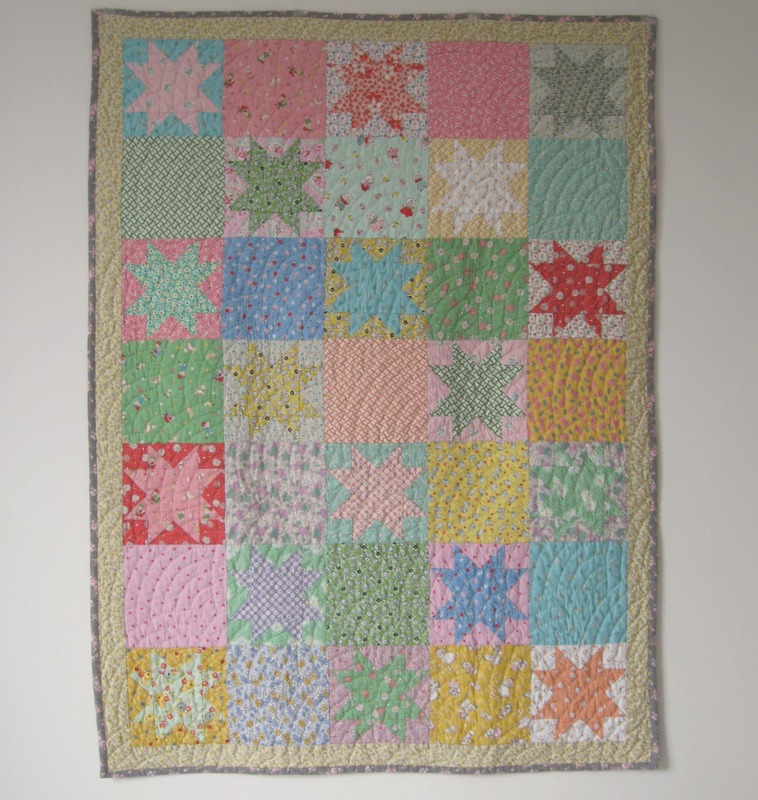 Finished quilts and embroidered name tags…..
To the sound of an imaginary trumpety fanfare (and not one supplied by the cat’s bottom)..after many weeks spent in designing block patterns and choosing fabrics and soaking pricked fingers in cups of cold tea….may I present the finished star quilts for Peggy and Pearl. 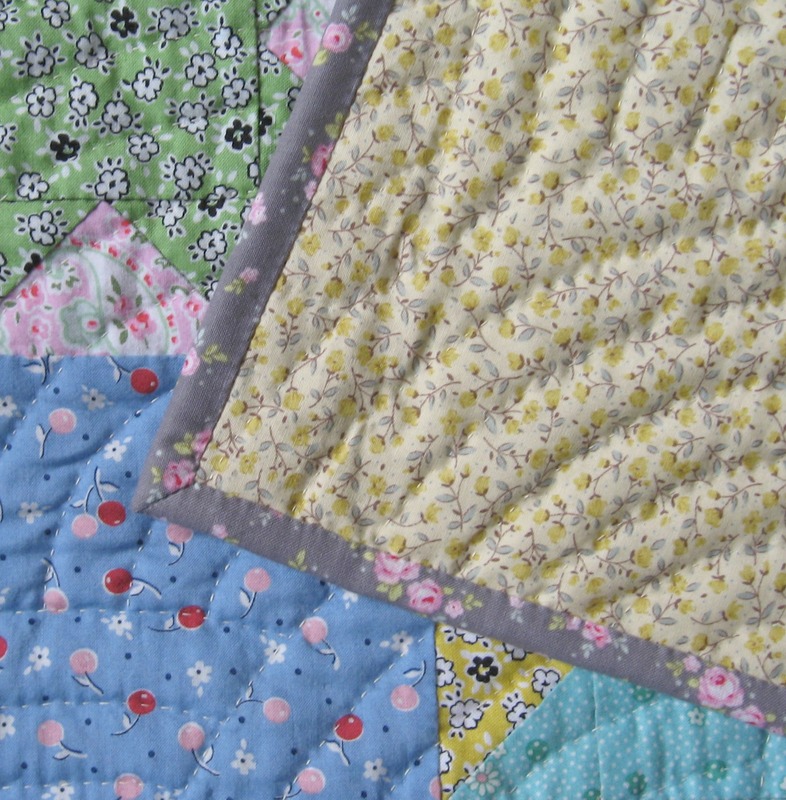 Sadly it was really overcast when I took these pictures so the quilts don’t look quite as colourful as when I photographed them the other week on the washing line. 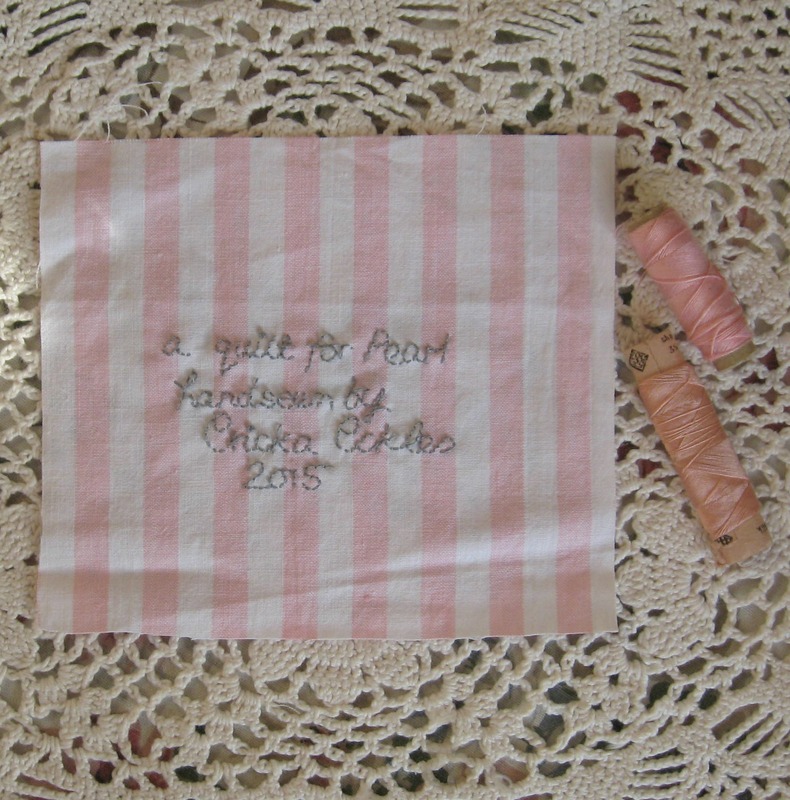 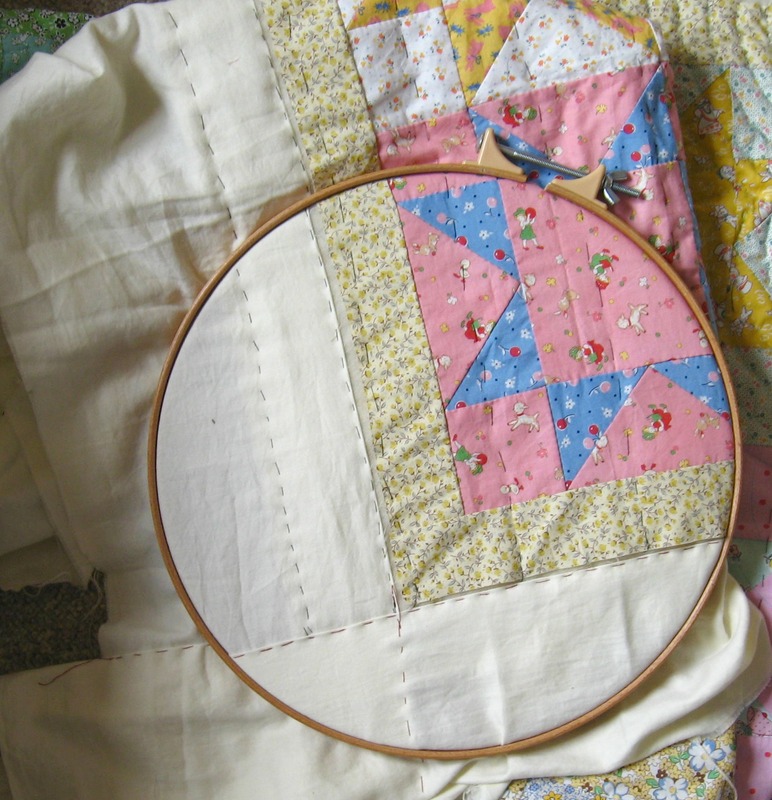 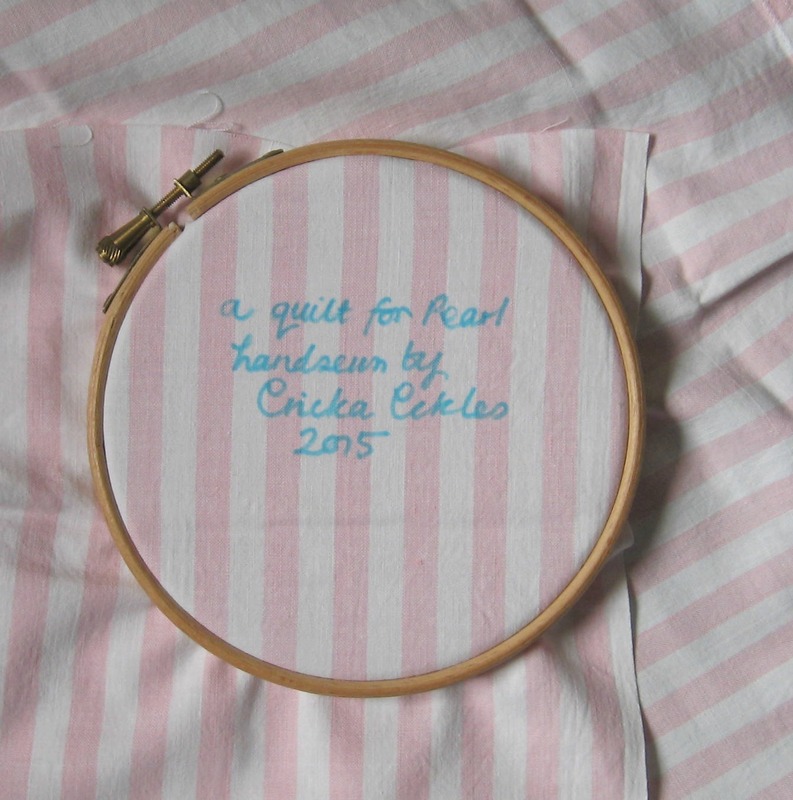 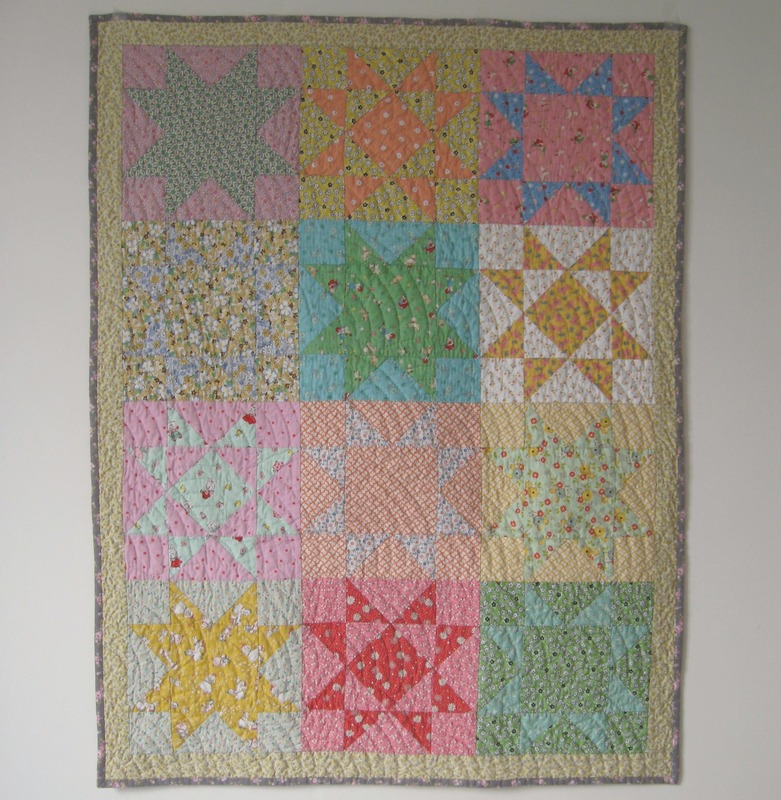 This post has seemed an age in coming…..and I must confess the quilts have taken me somewhat longer to make than I had first thought or expected…in part because I got a bit stuck I suppose at the start when I was designing them. 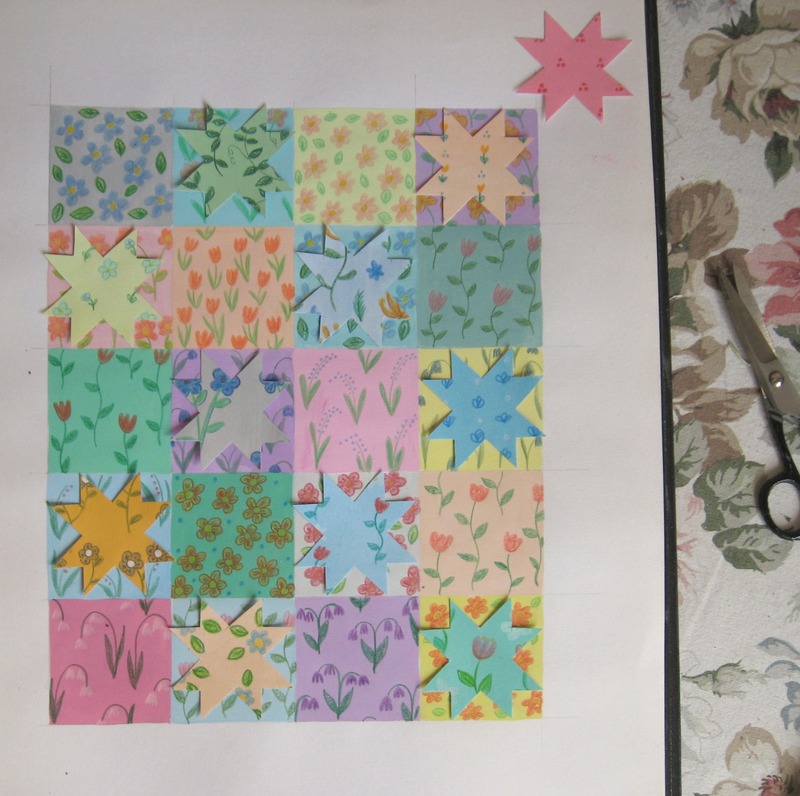 The brief was deceptively simple…”make them different, but the same, and maybe something to match Olive’s quilt“…….hmmm and then the rest of the design was left up to me, including colour and fabric choice. 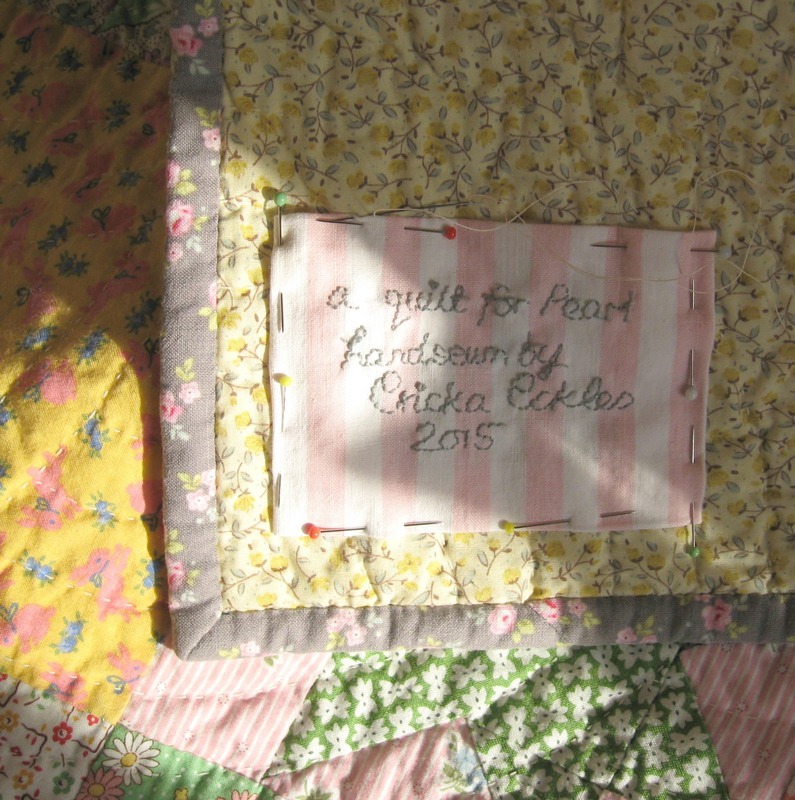 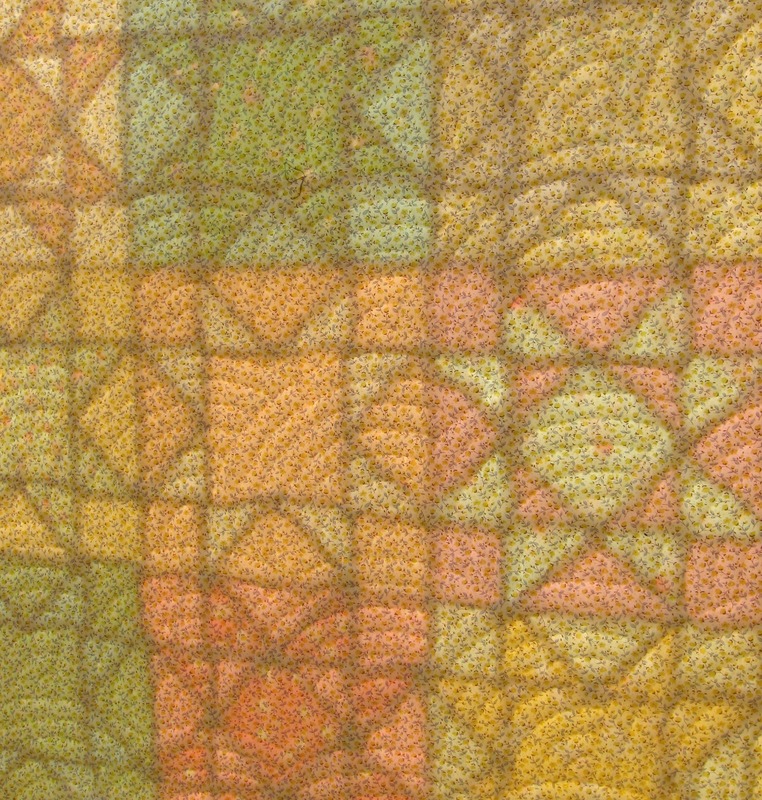 At times I felt I was running round in circles and was worried lovely Darren (who is the owner of the best coffee shop in Norwich) who had commissioned the quilts may well end up sleeping in the coal shed if his wife didn’t like what I came up with…. 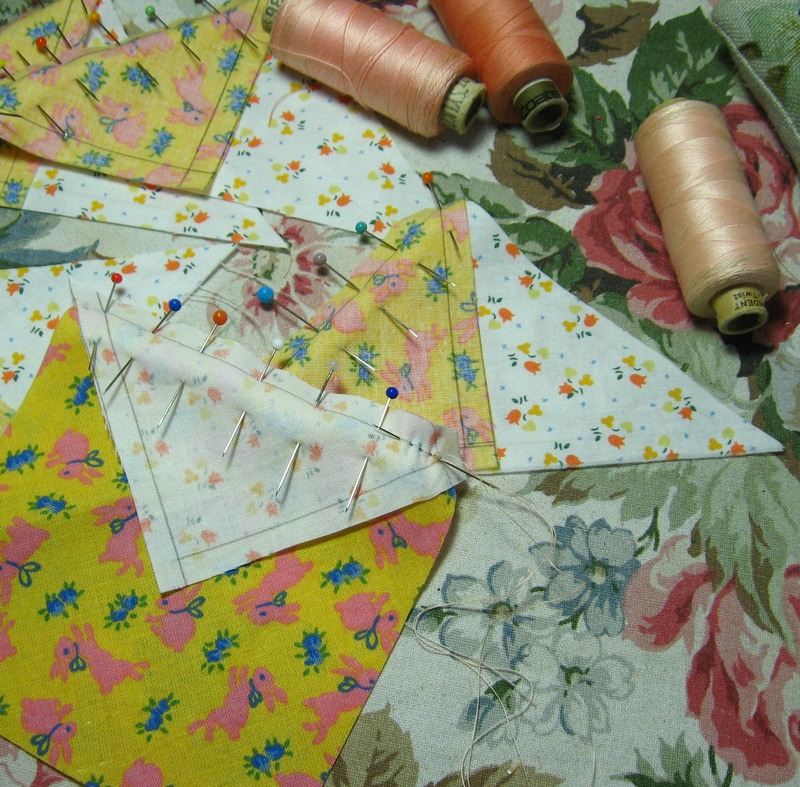 once I’d designed a pair of patchwork tops I then spent more time than you’d believe looking at suitable fabrics to use for the quilts……. 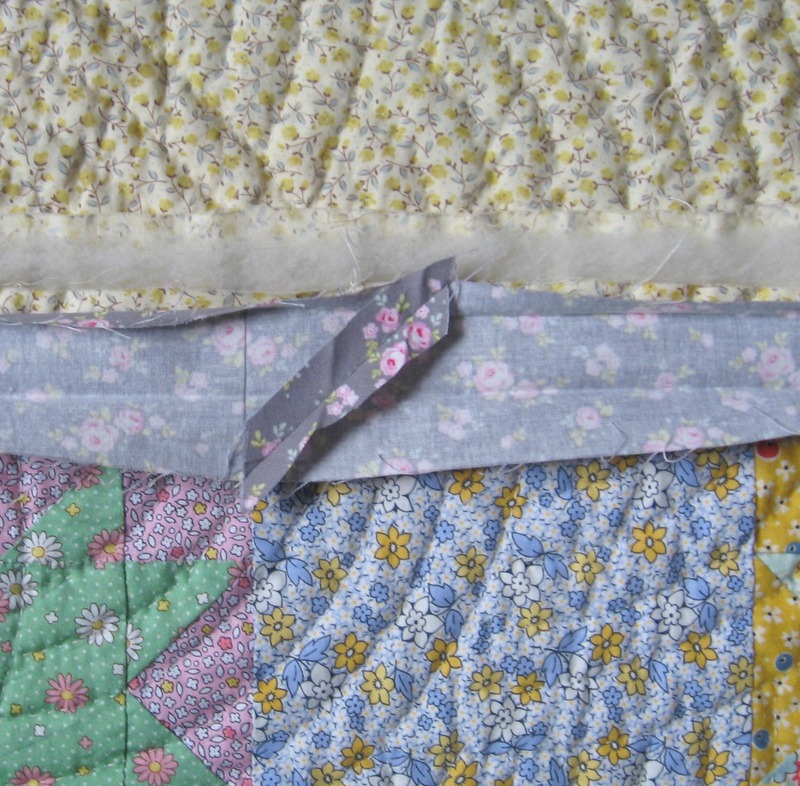 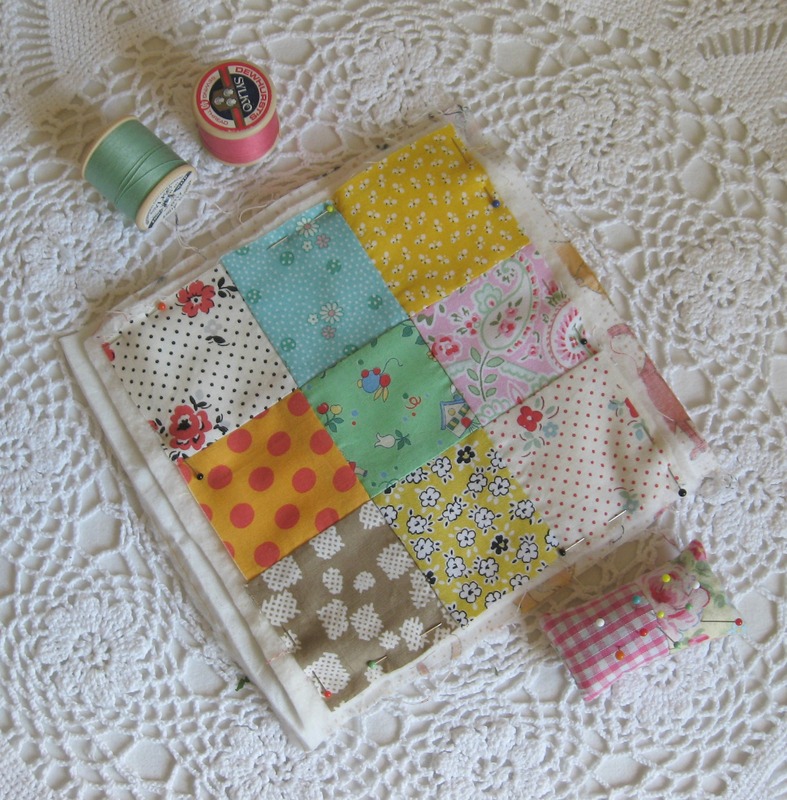 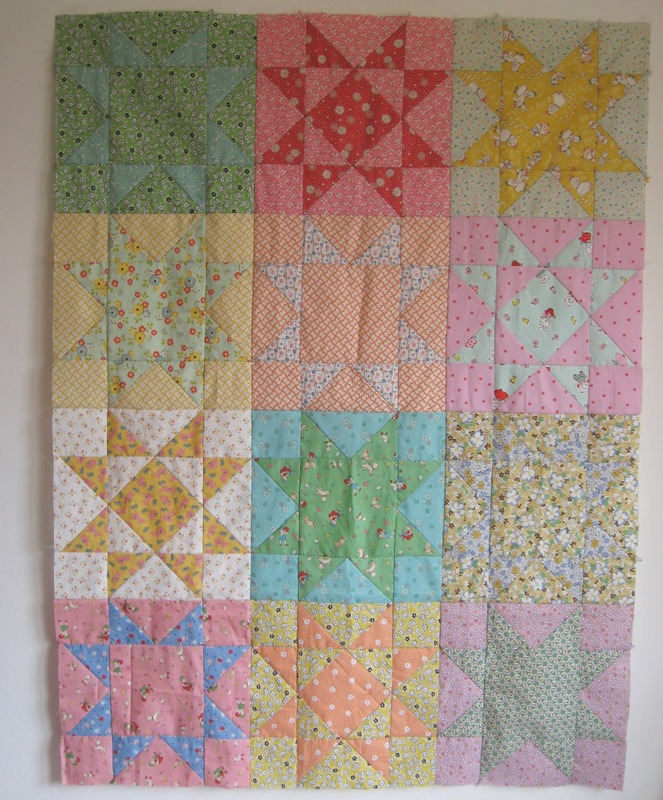 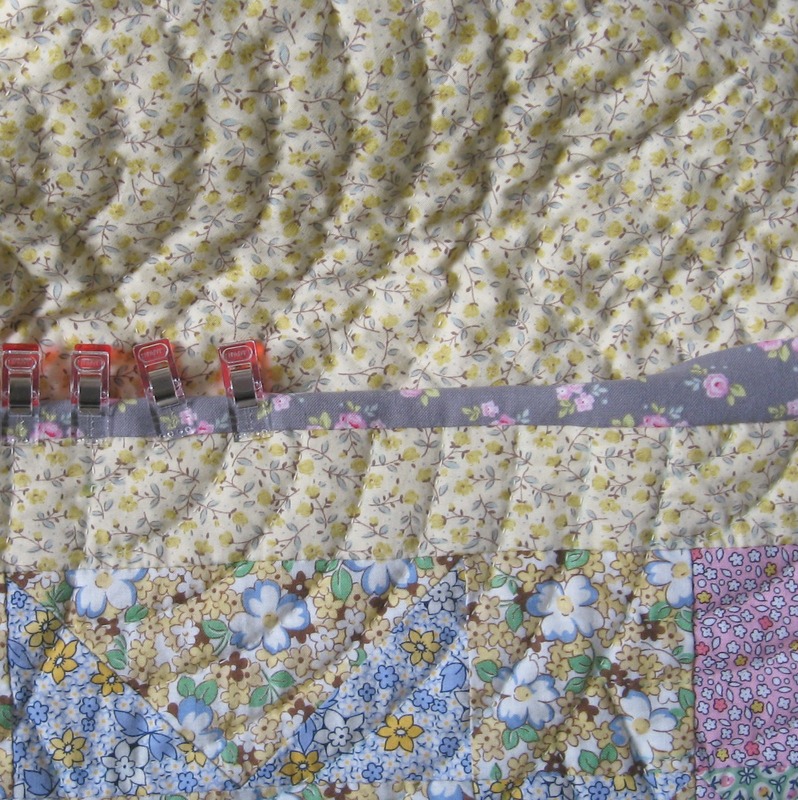 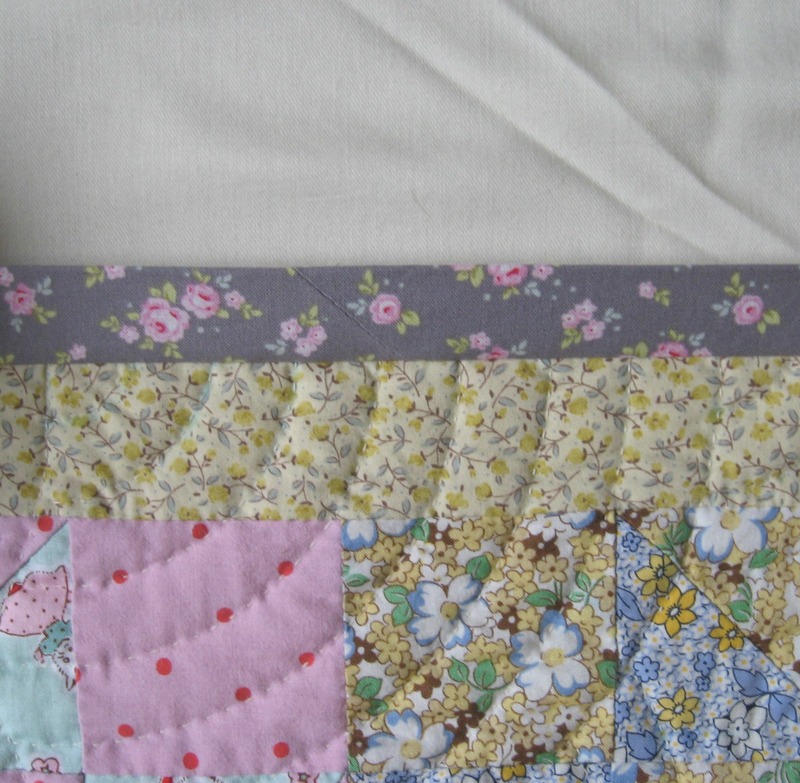 The other year I made Miss Olive a simple quilt, made up of an array of small reproduction and vintage prints sewn into patchwork squares, so I wanted to use if not the same fabrics from that quilt, but ones which would compliment it. 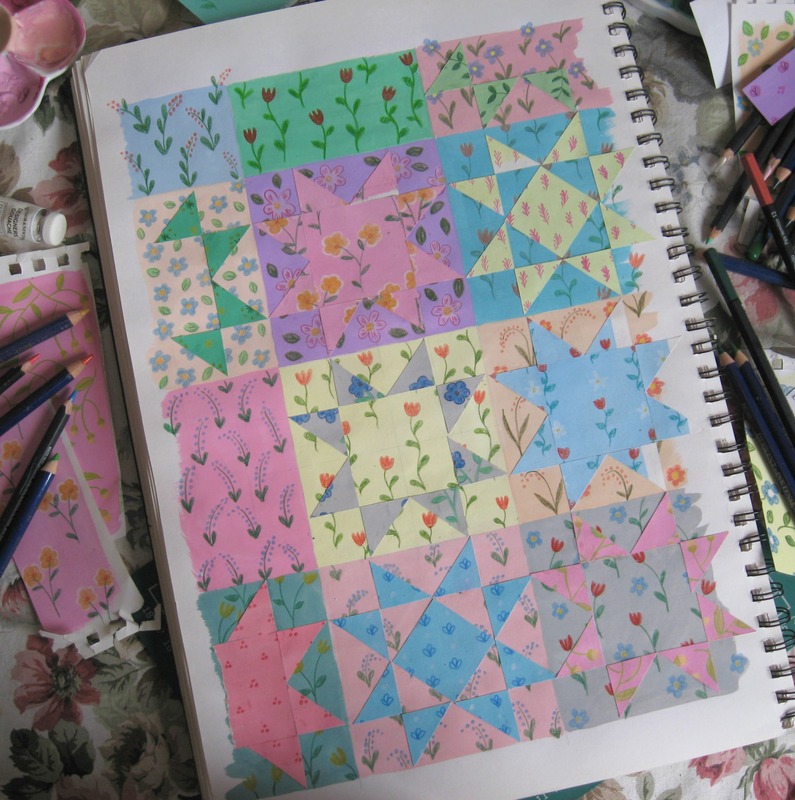 The only real specification I had on colour was “not too pink” and I think my overall rainbow choices have made up for the few splashes of pink I’ve popped in there. 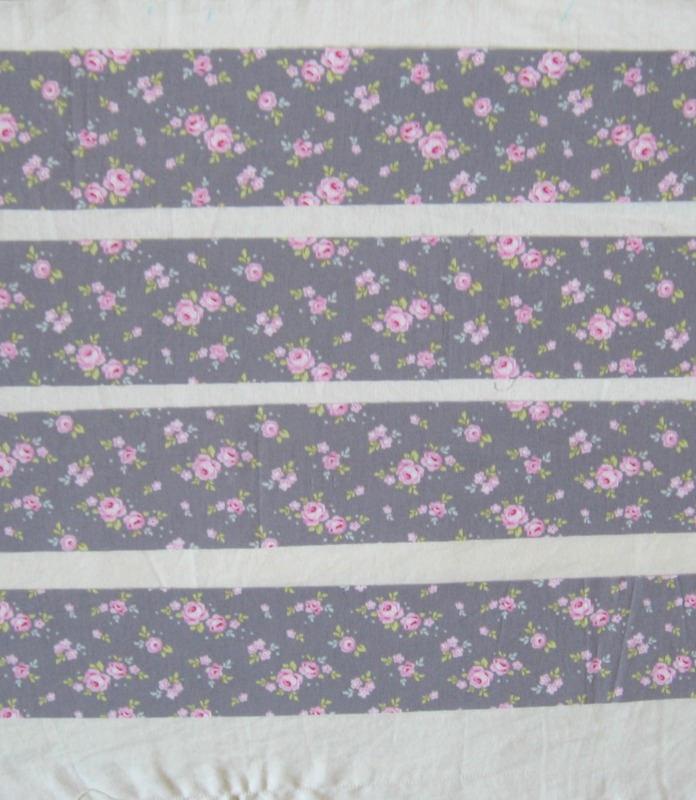 I used a beautiful pale grey floral print by Lecien for the backing of Olive’s quilt, and although I couldn’t source enough of the same again this time, I found this floral print by Tilda and thought it echoed the grey/rose bud combination rather nicely. 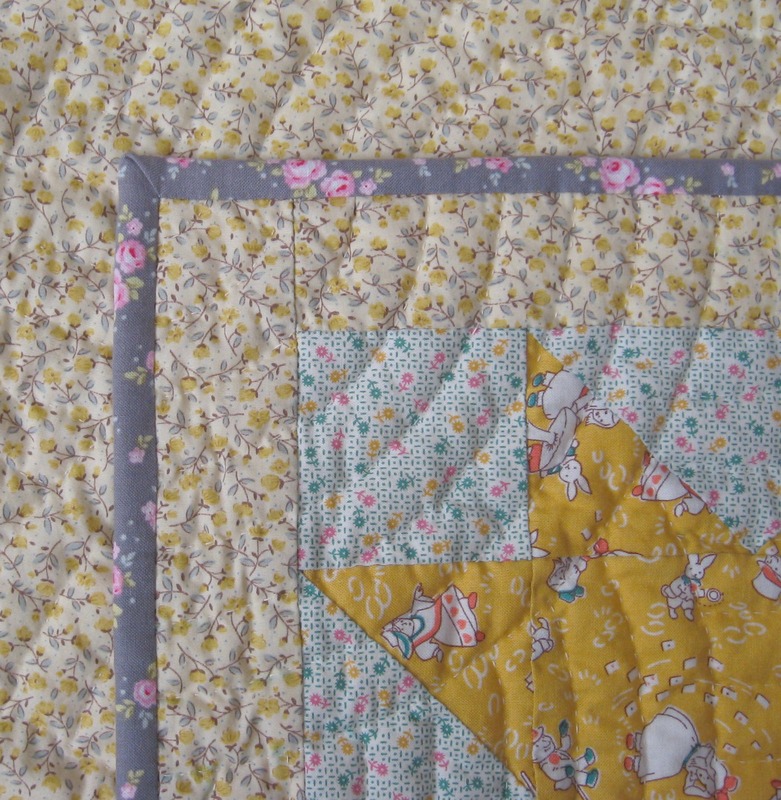 I wanted something that was really soft in hue and colour for the back and pretty much fell in love with a dainty yellow print from Pretty Fabrics and Trims. 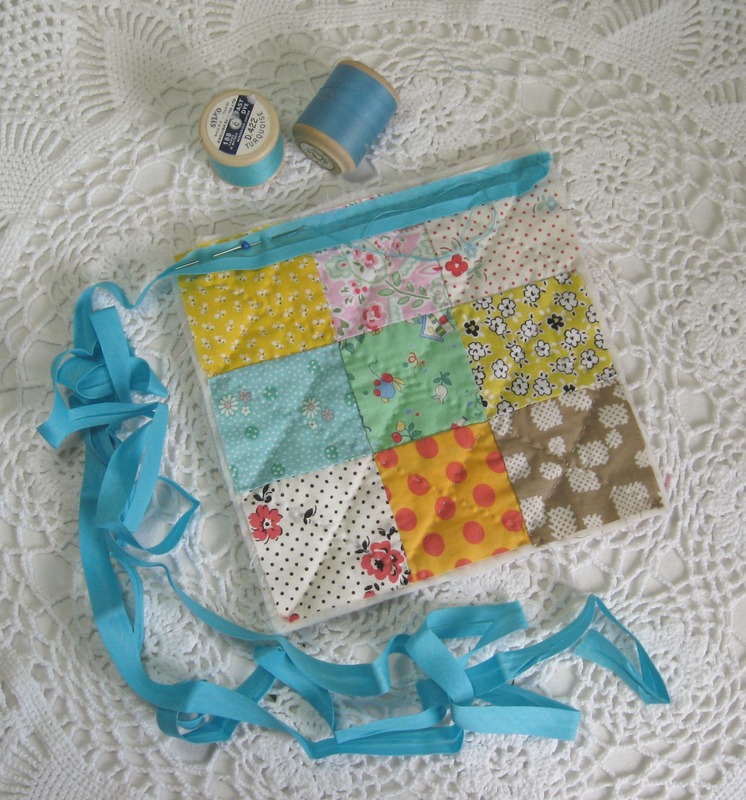 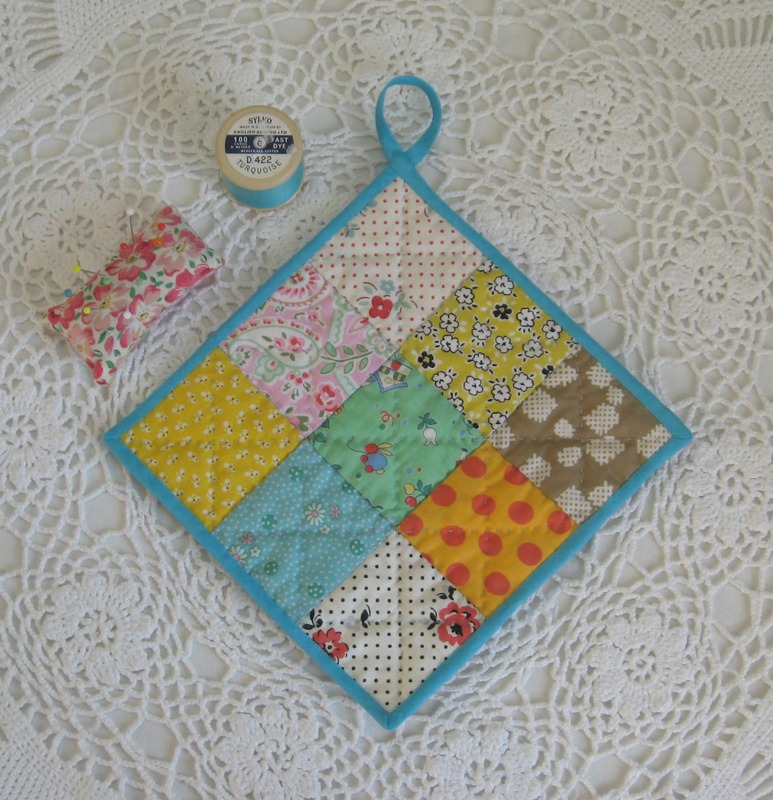 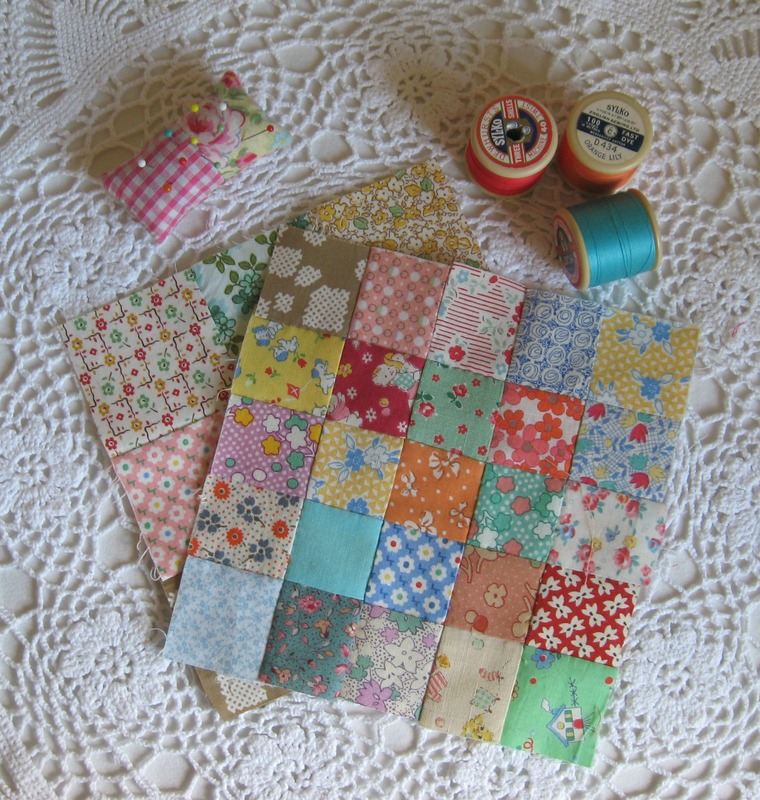 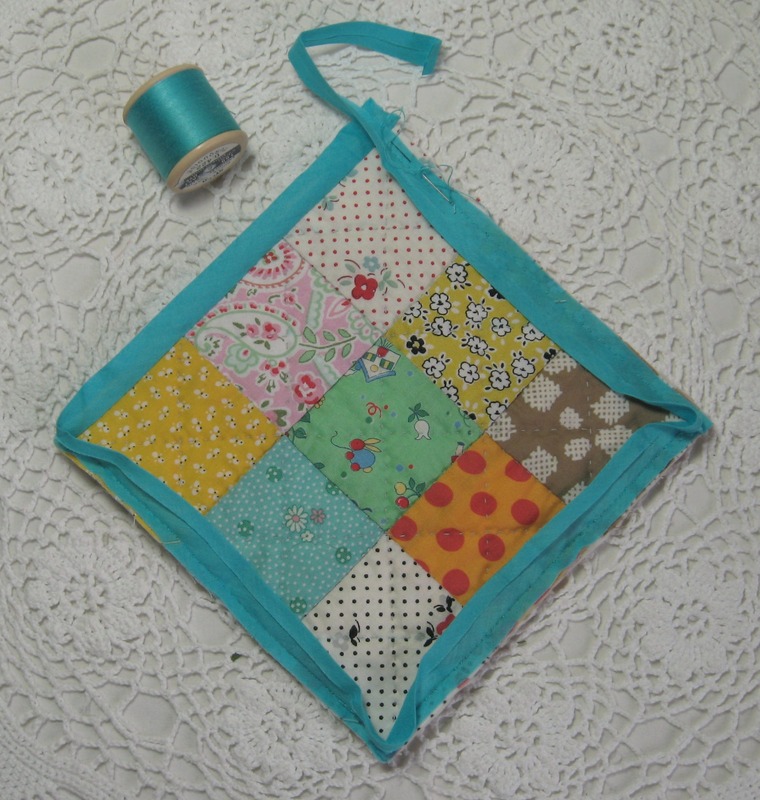 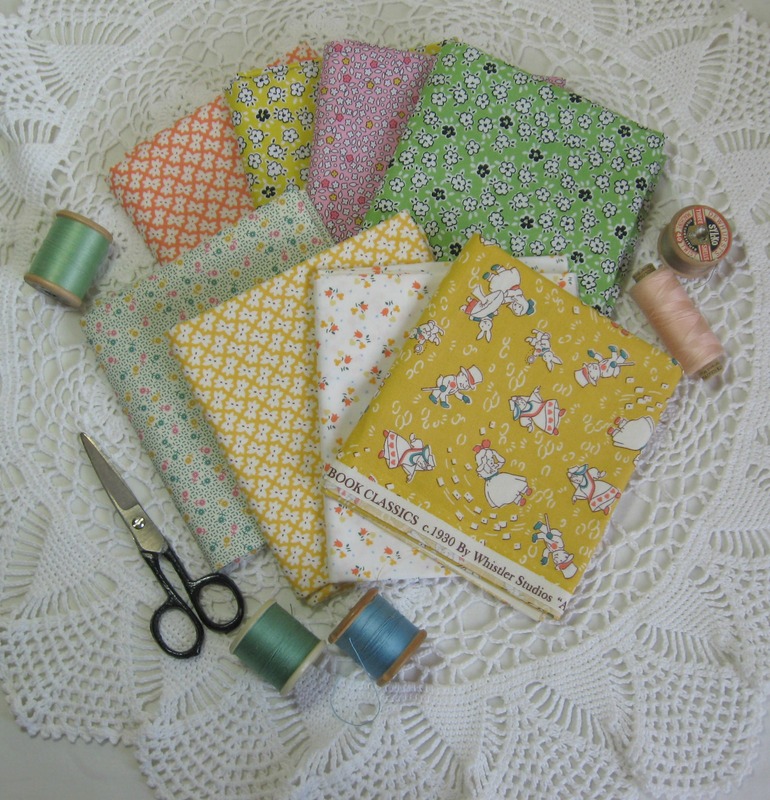 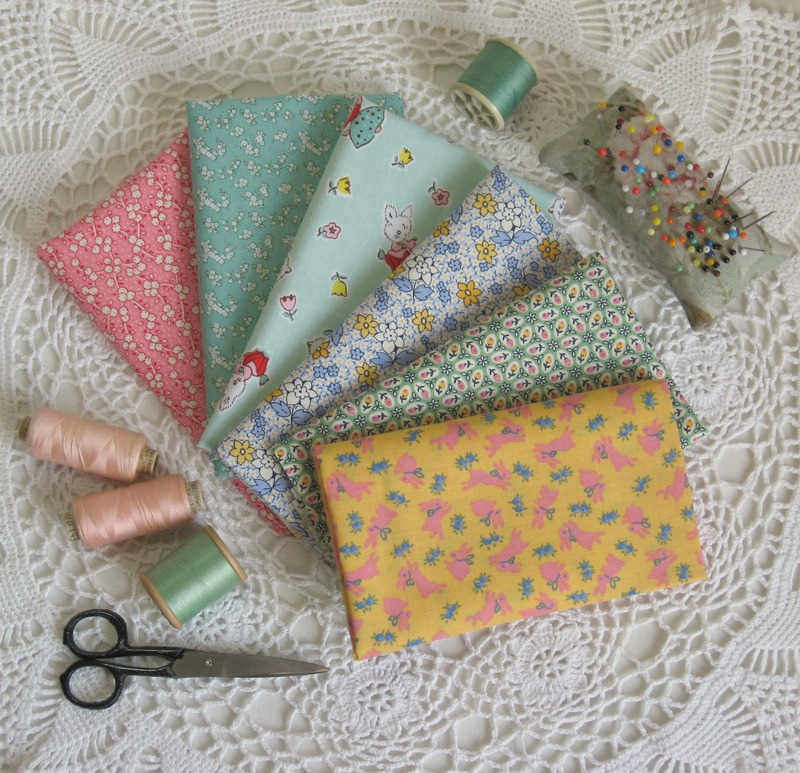 I also bought some beautiful feedsack inspired prints from them as well for the patchwork blocks. 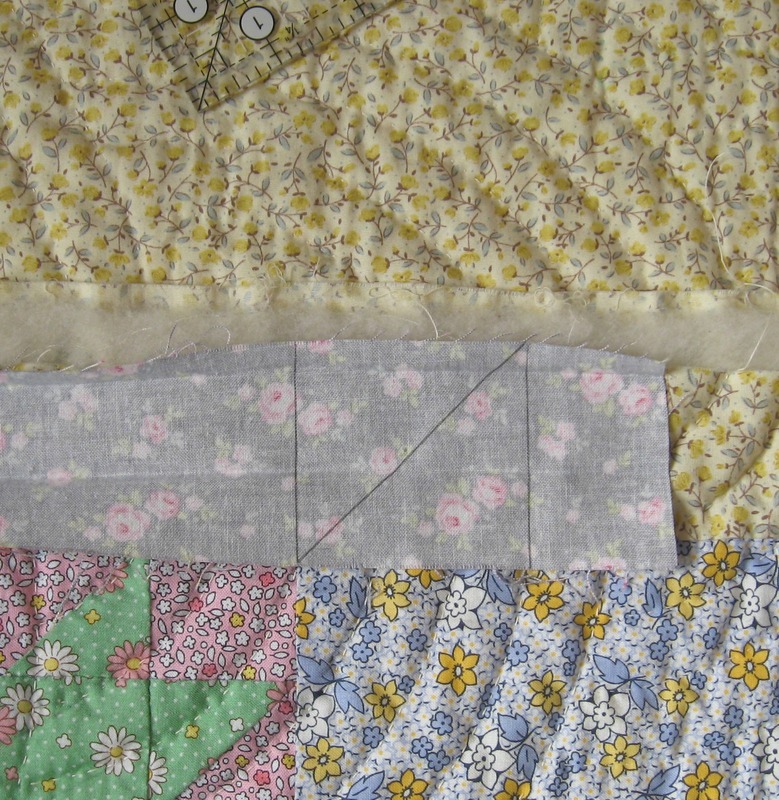 When I was choosing fabrics I found it easiest to create a pinterest board of all the fabrics I really liked, and then I had to whittle it down to real favourites….I tried to limit myself to buying fabric from as few shops as possible (it didn’t make sense to only buy two fat quarters from umpteen different shops)…..so some fabrics didn’t get chosen this time, but I’ve made a note of where I saw them. 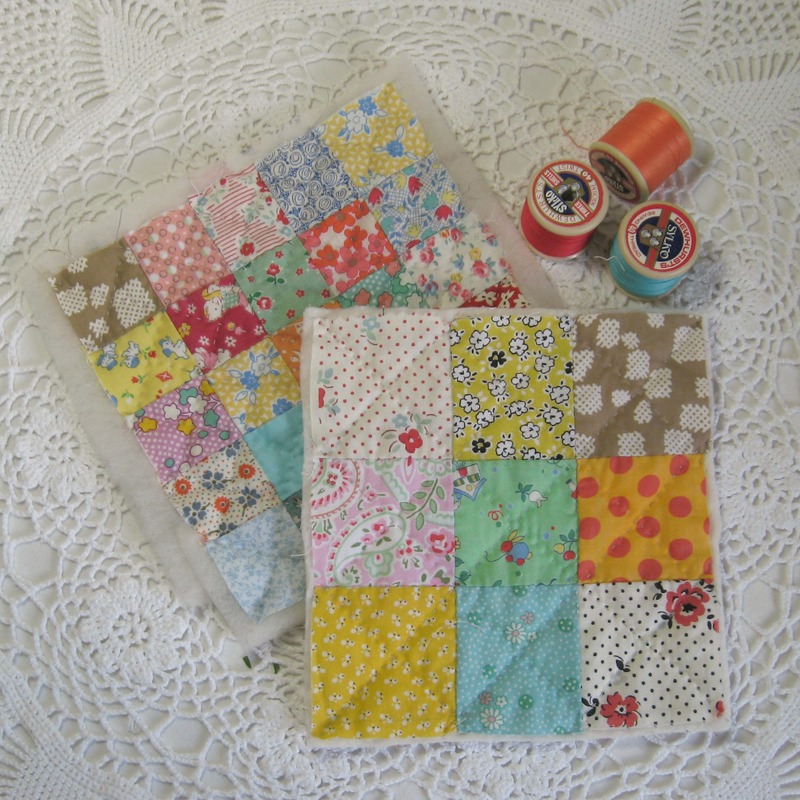 The other two shops I purchased from were Sew and Quilt, and Tikki. 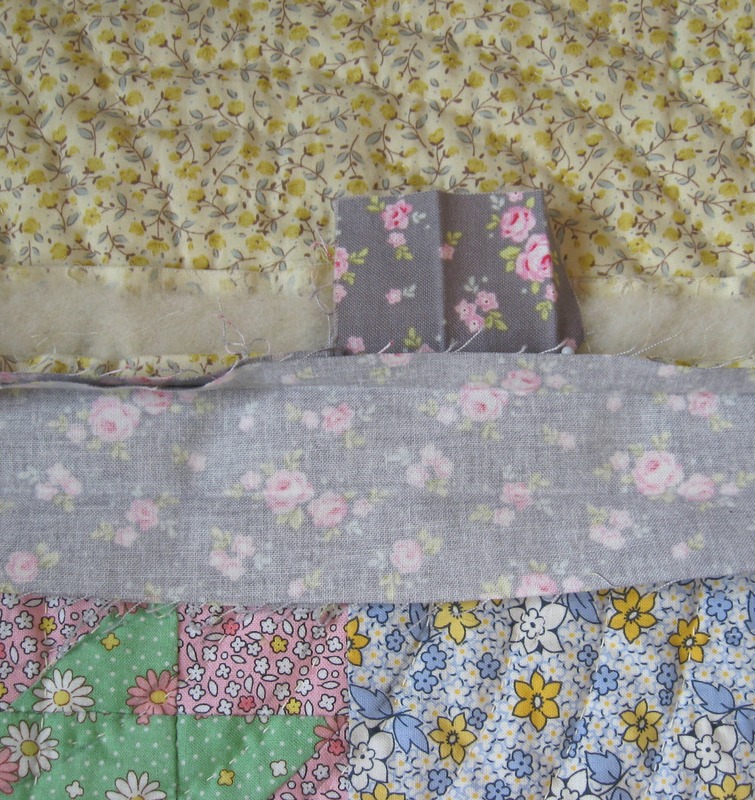 All three shops were lovely to order with and had a great selection of fabric so I’ll definitely be shopping with them again. 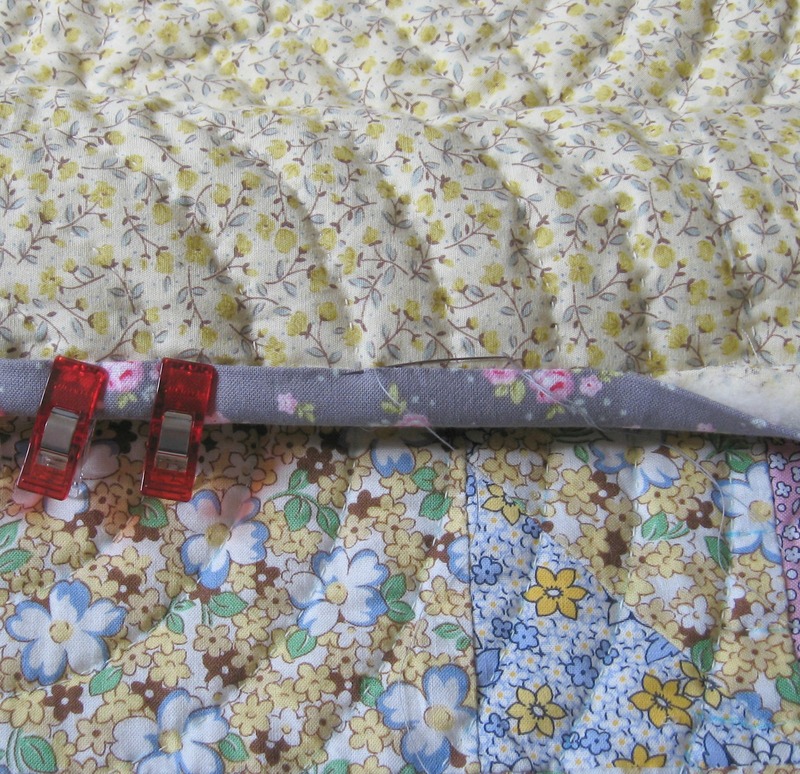 For the binding, I used wool wadding from the Tuscany collection by Hobbs. 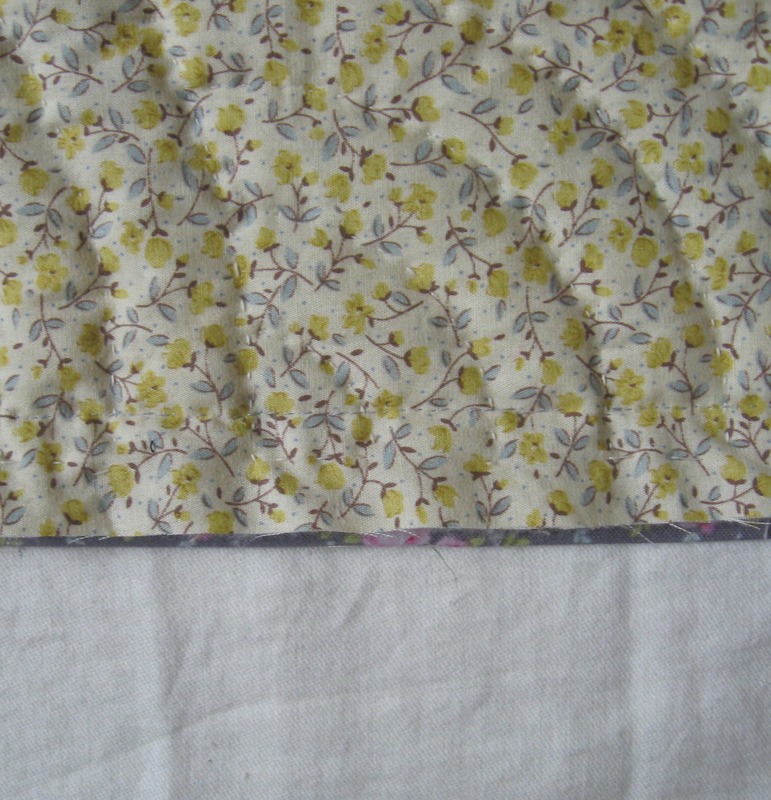 It’s not a cheap wadding but as I hand quilt I find it the nicest, it doesn’t stick to or resist my needle so it’s lovely to sew, and it has a great drape. 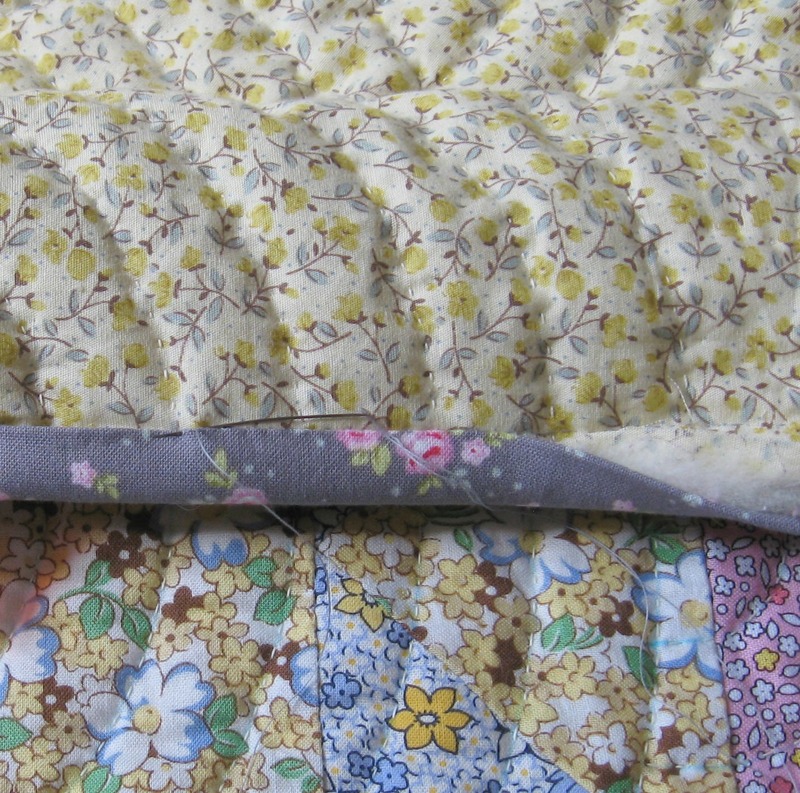 I’ve used this wadding for nearly all my quilts and it’s well worth worth it (just because you can’t see the wadding doesn’t mean you should forget about it and scrimp on the quality…….I’d rather put a patchwork top to one side for a while and just save up for the better quality wadding than use something cheap and synthetic). 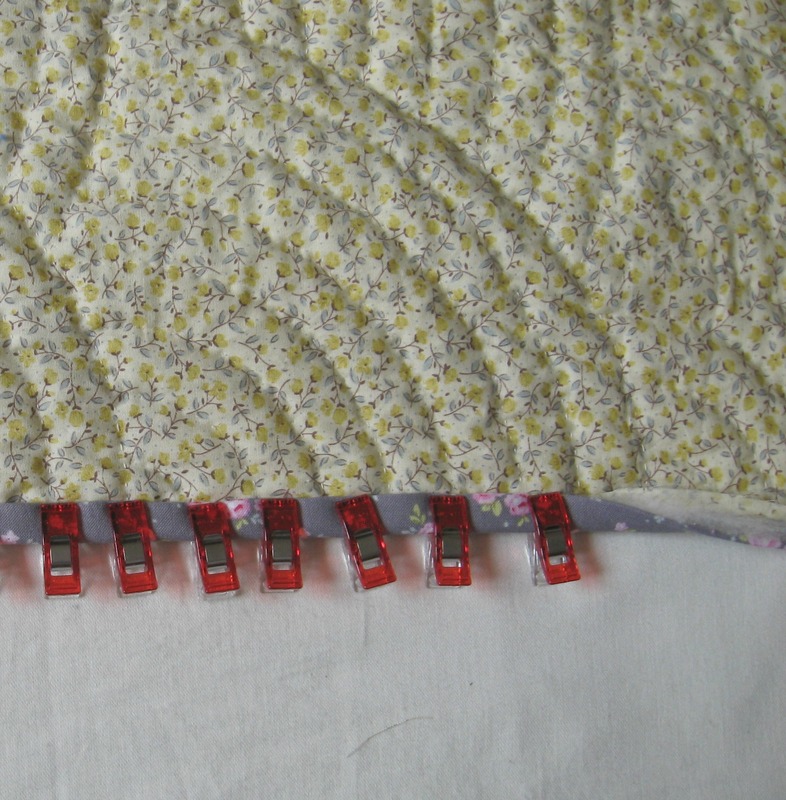 I find it works out a bit cheaper if you buy a king size bag and then you can cut it to the size you need. 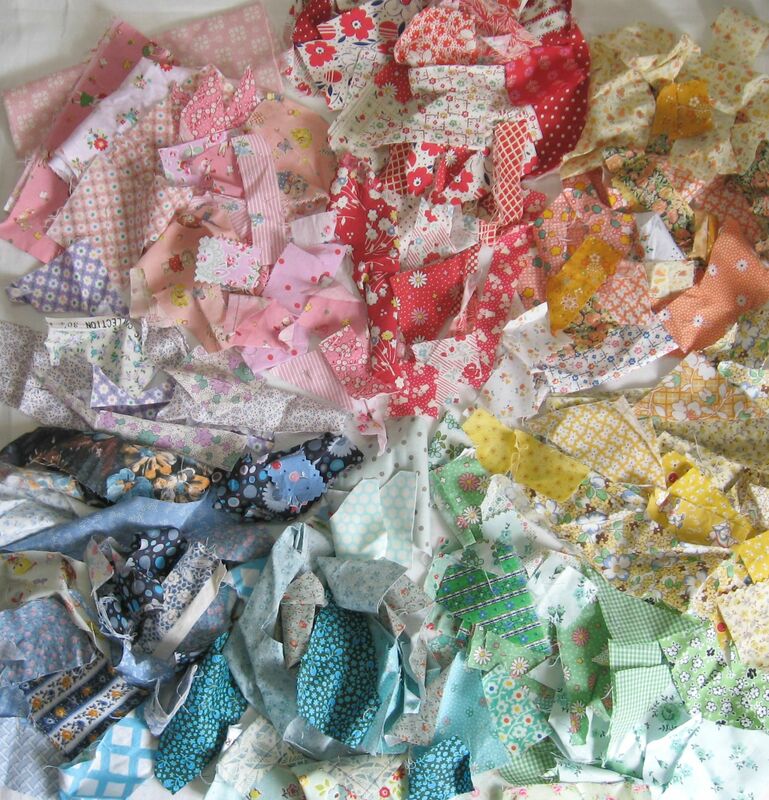 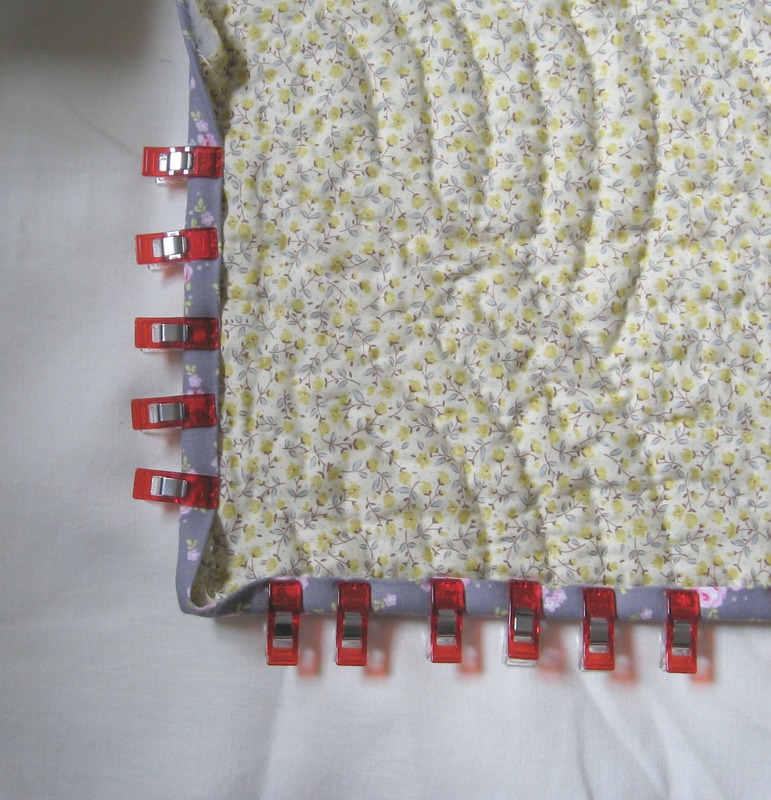 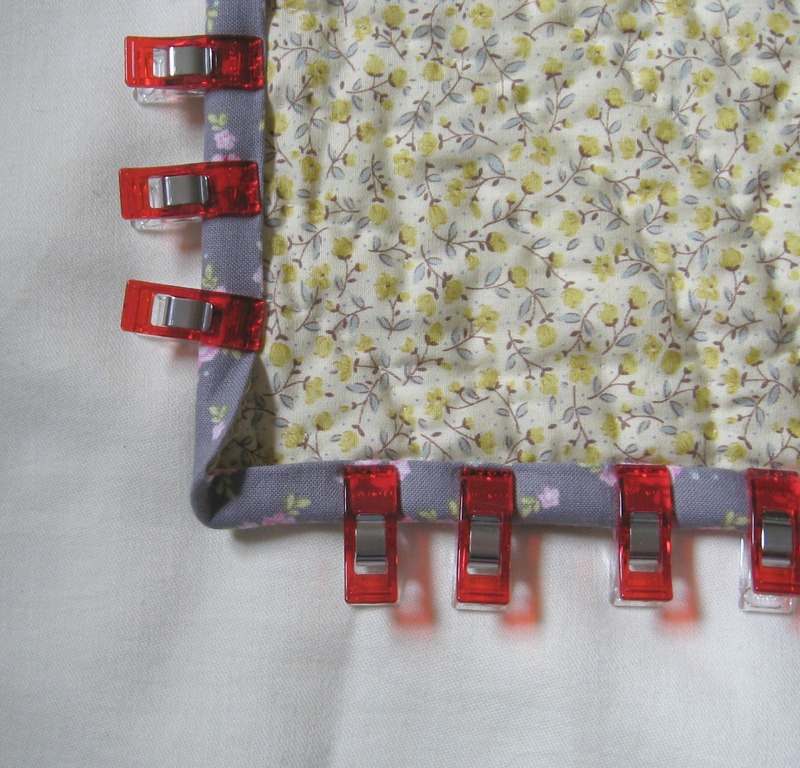 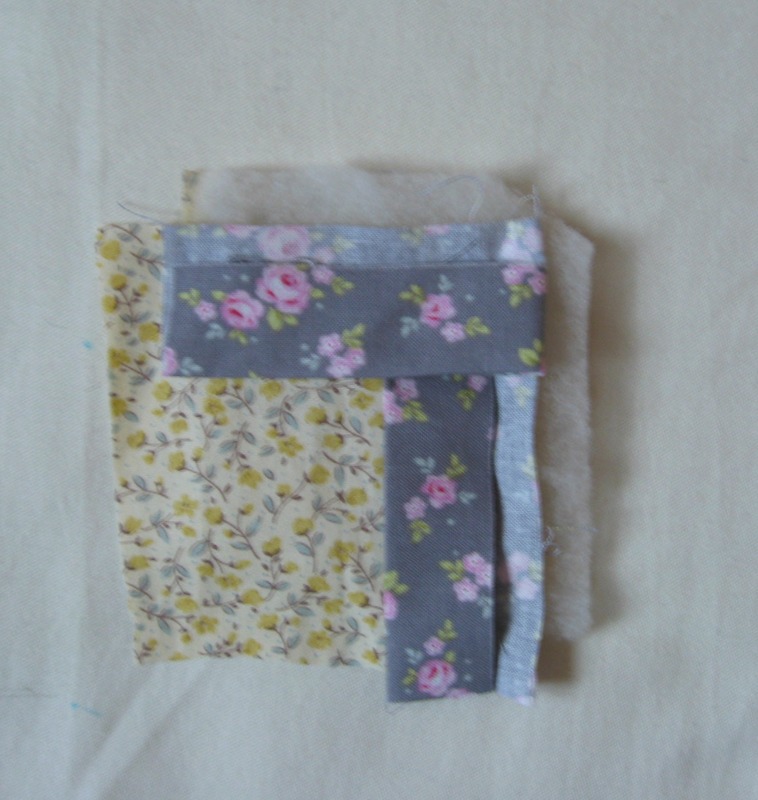 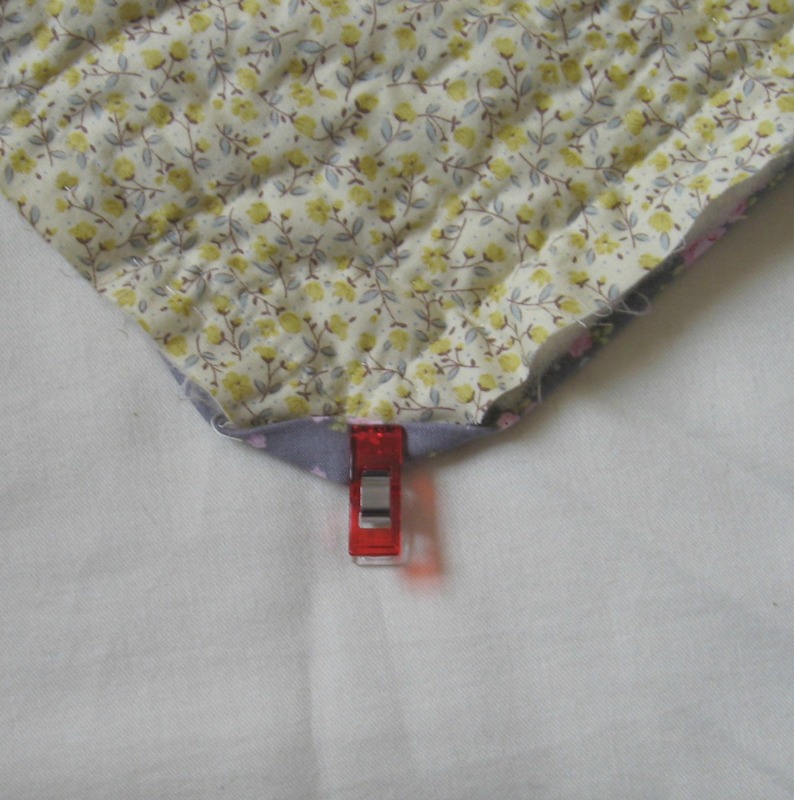 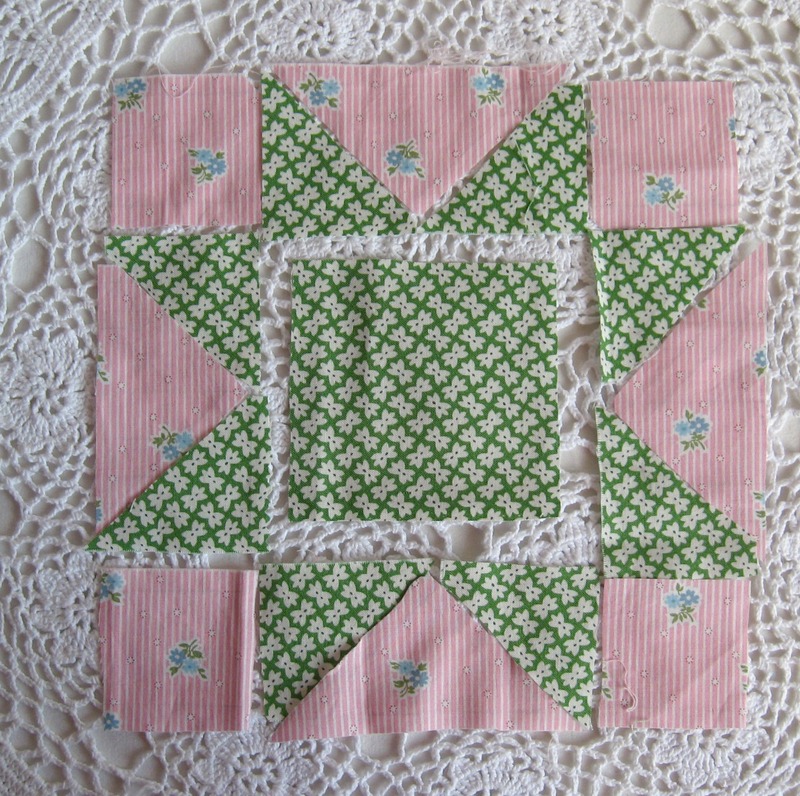 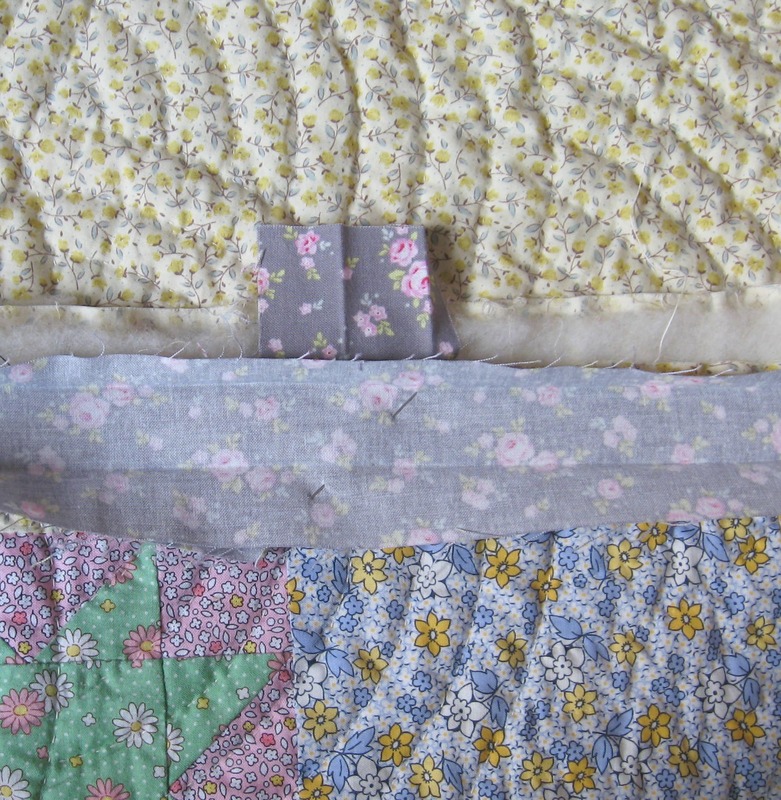 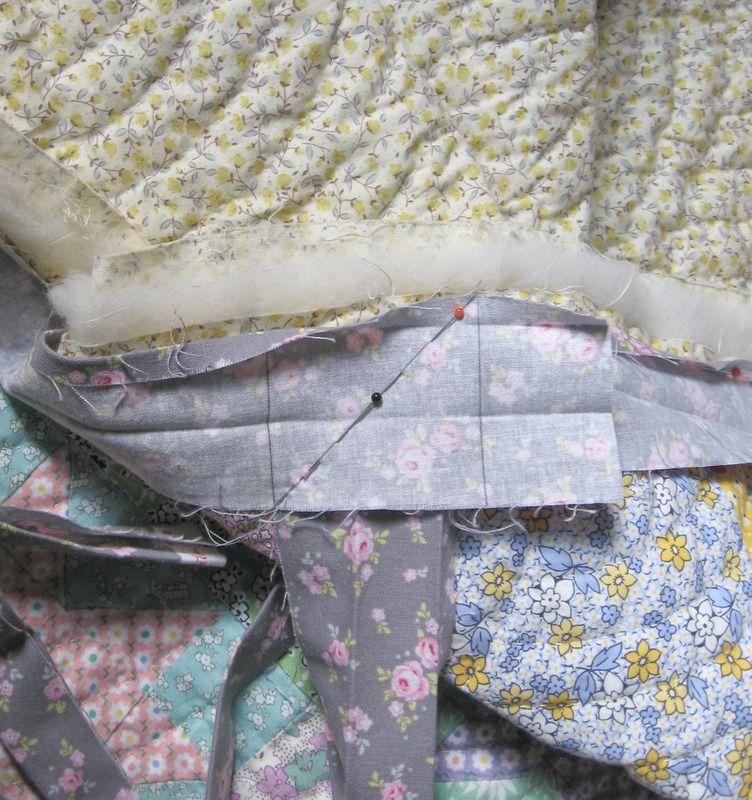 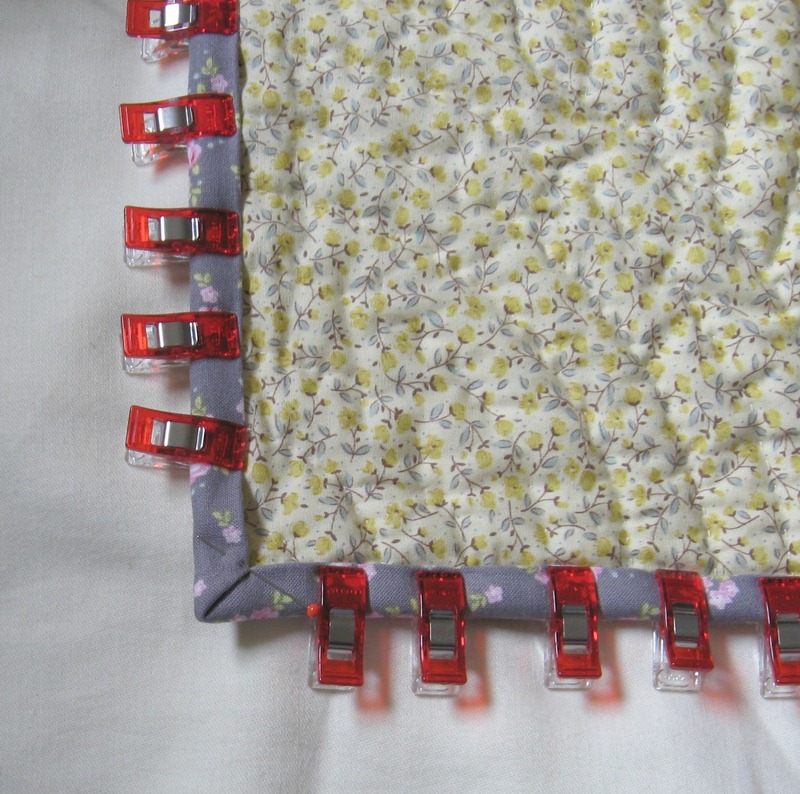 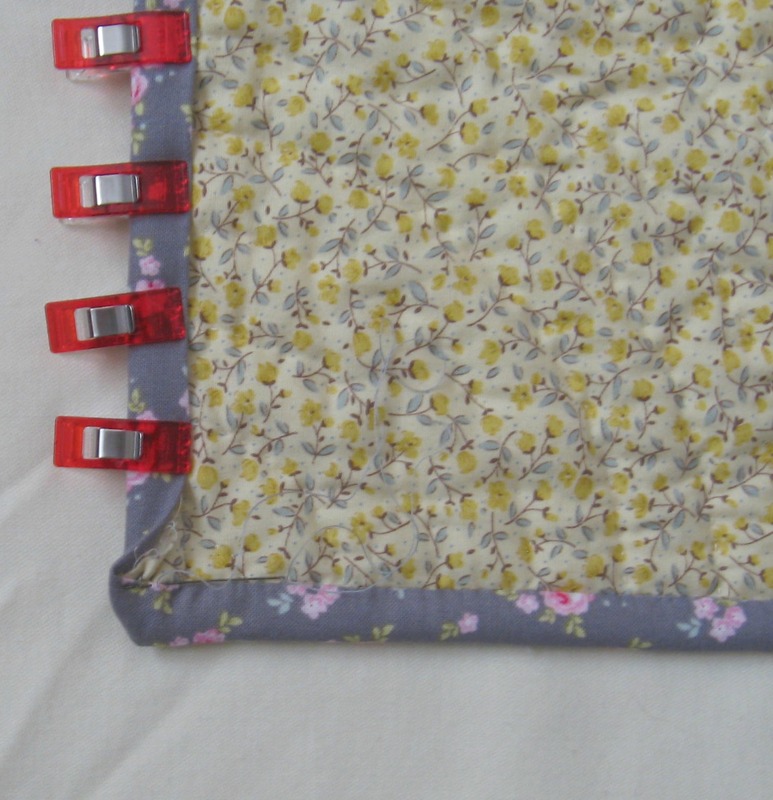 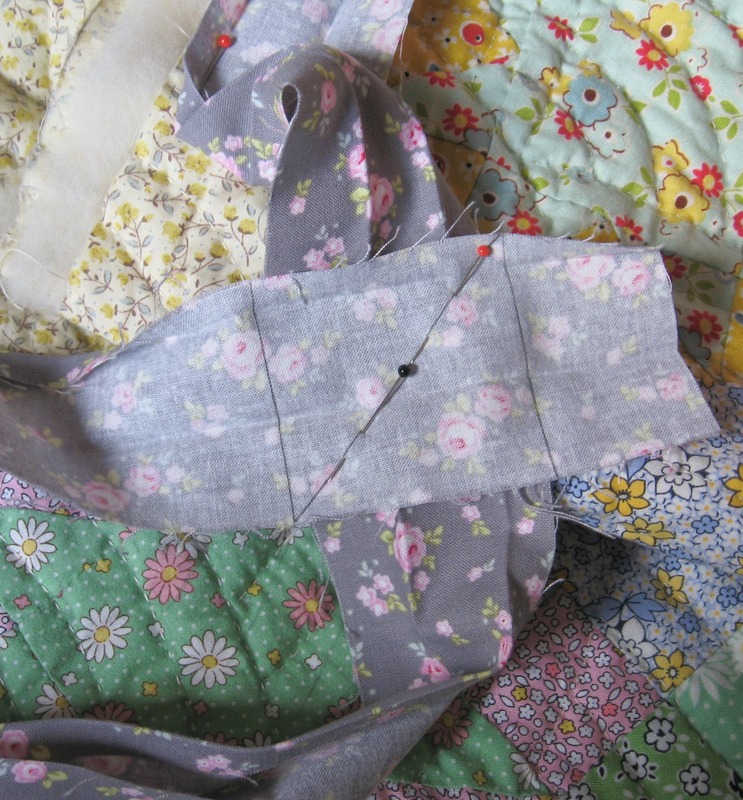 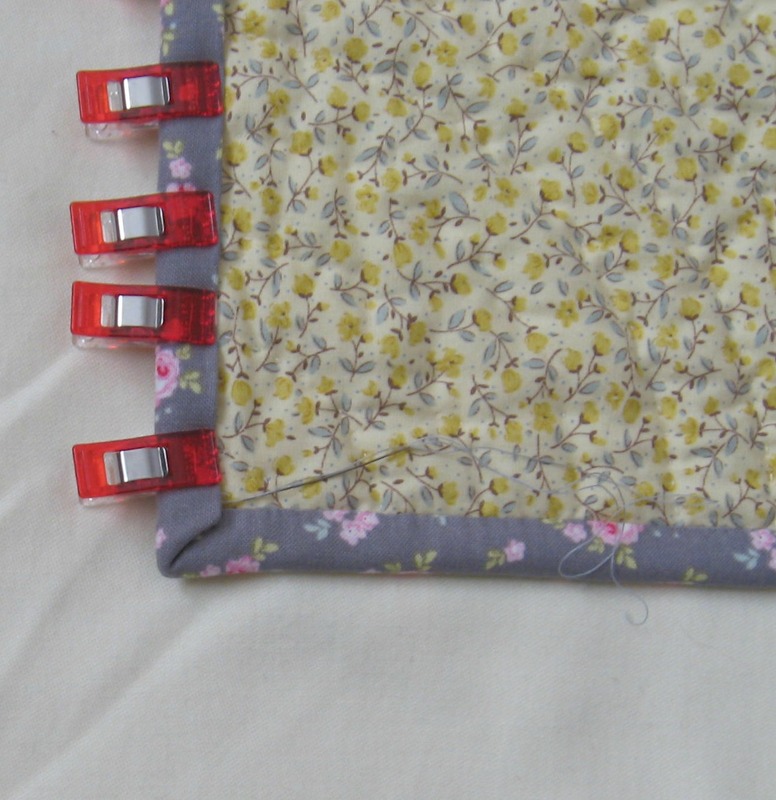 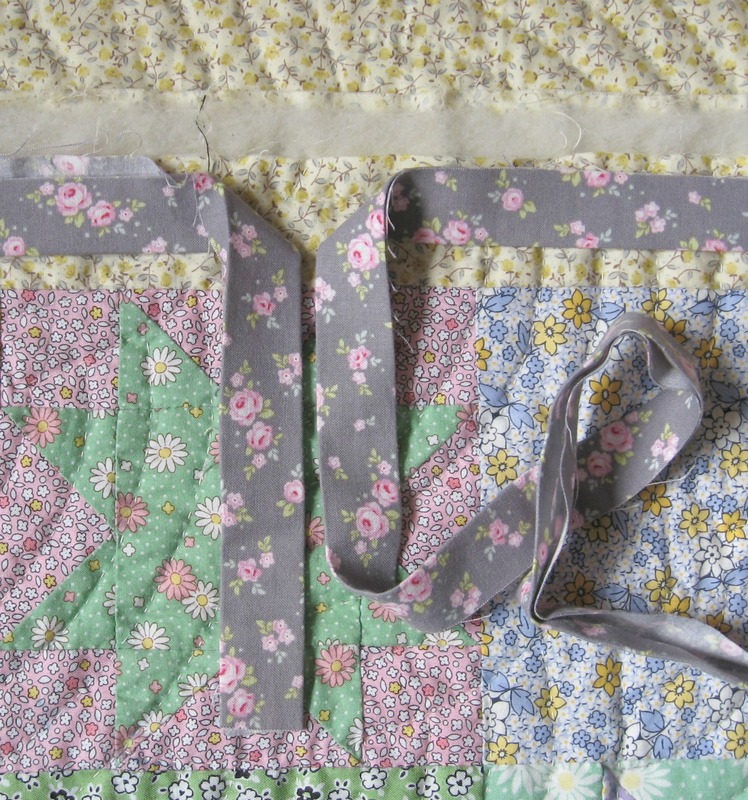 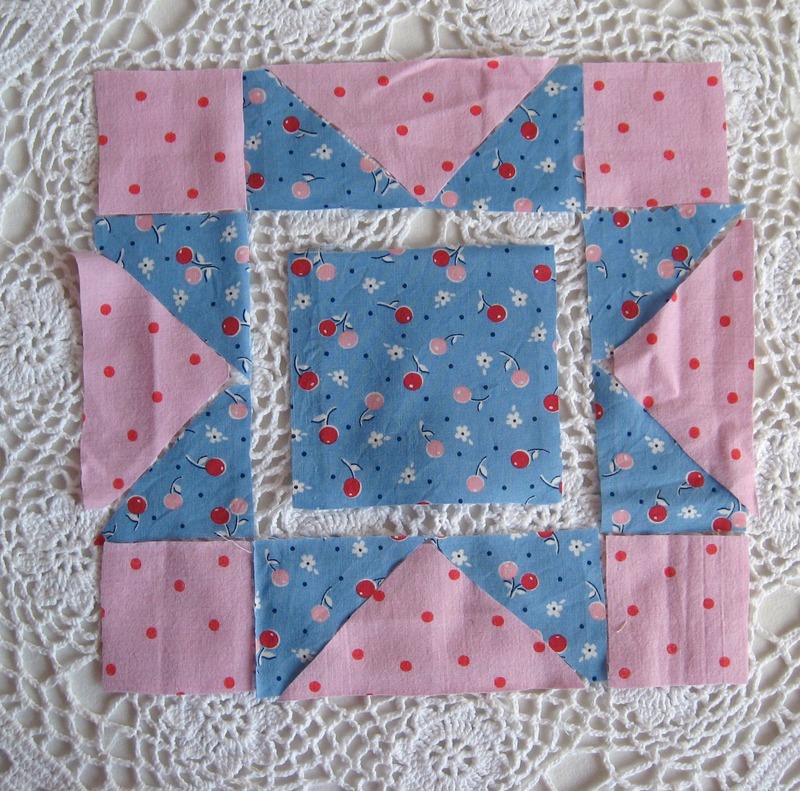 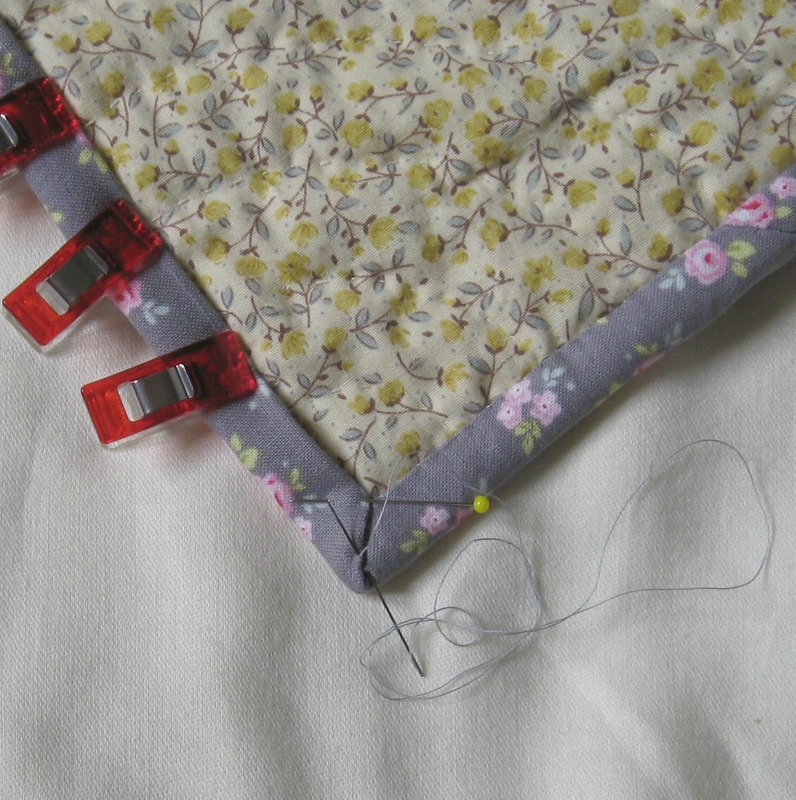 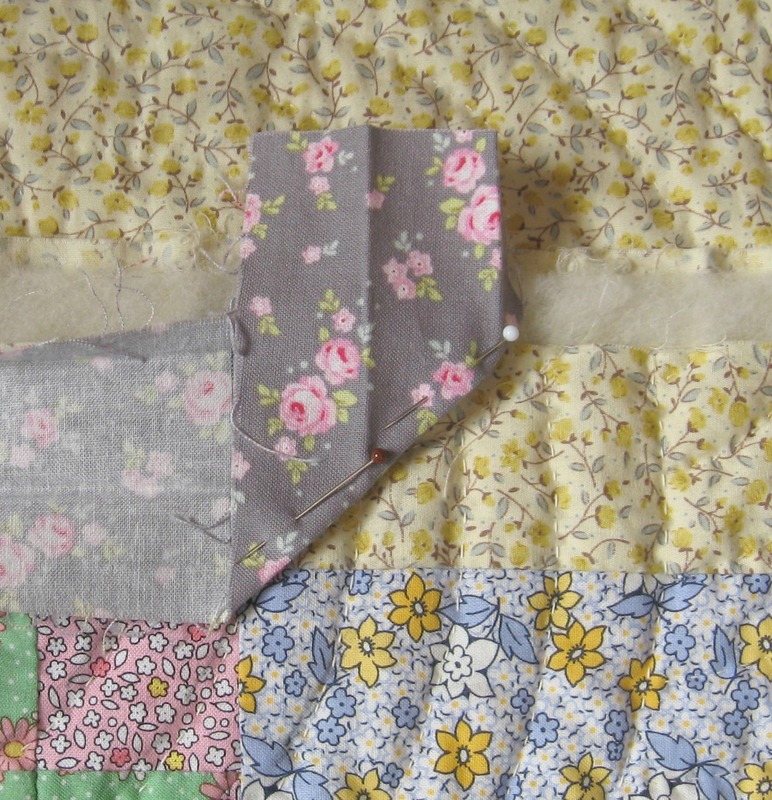 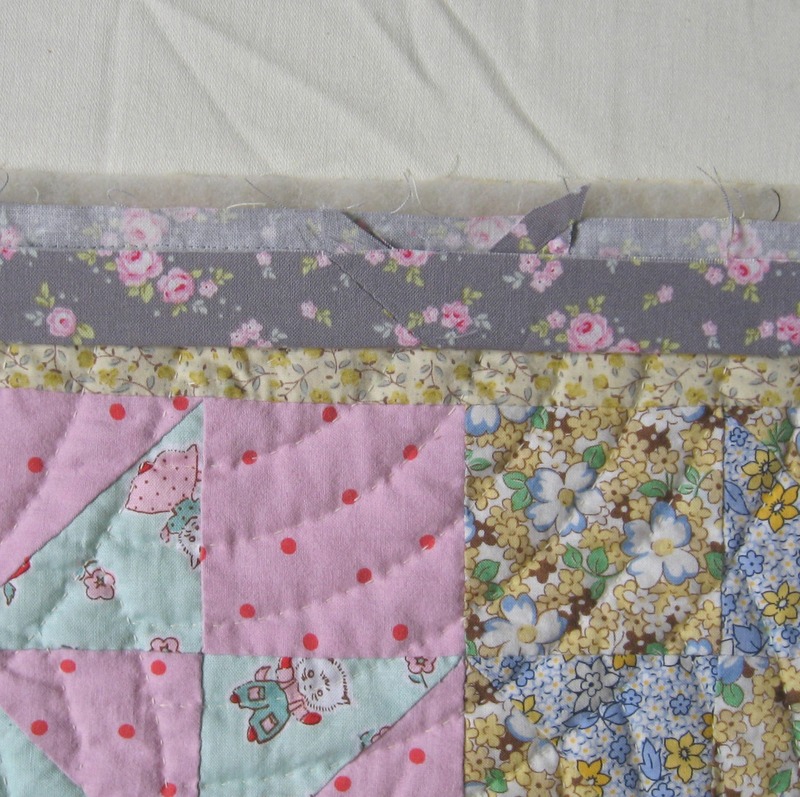 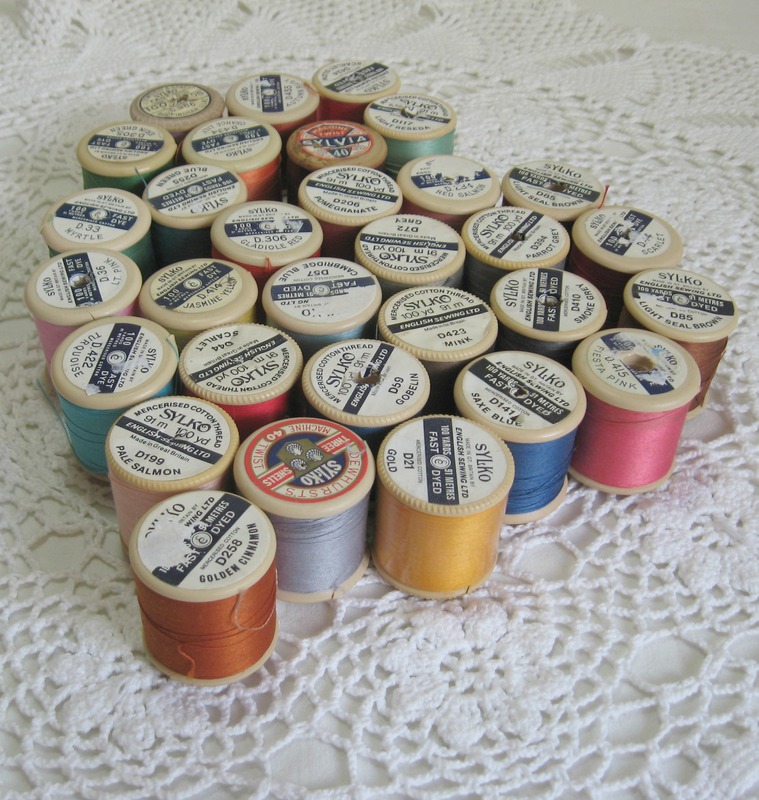 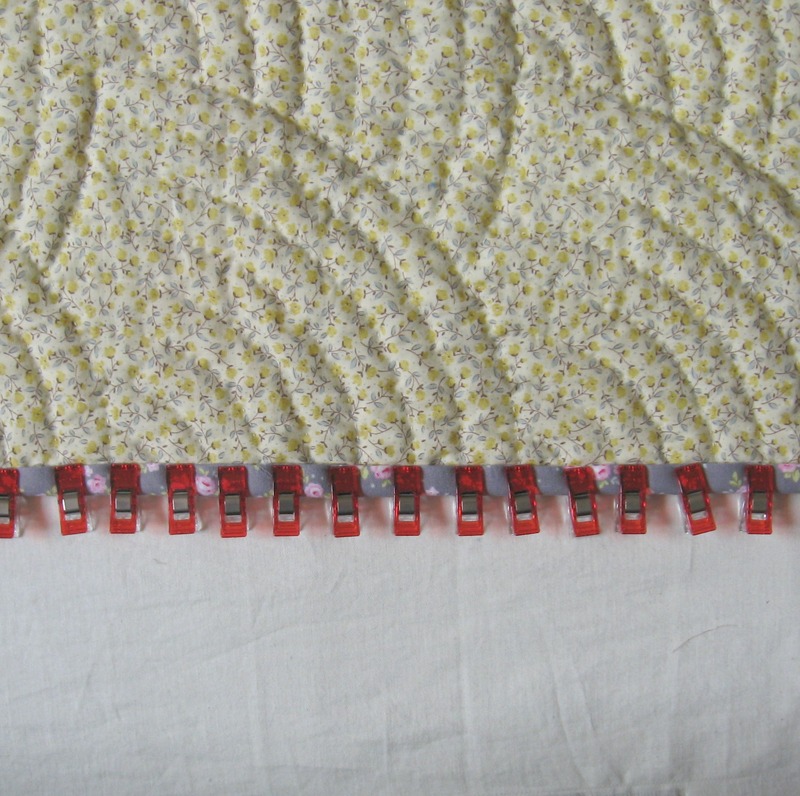 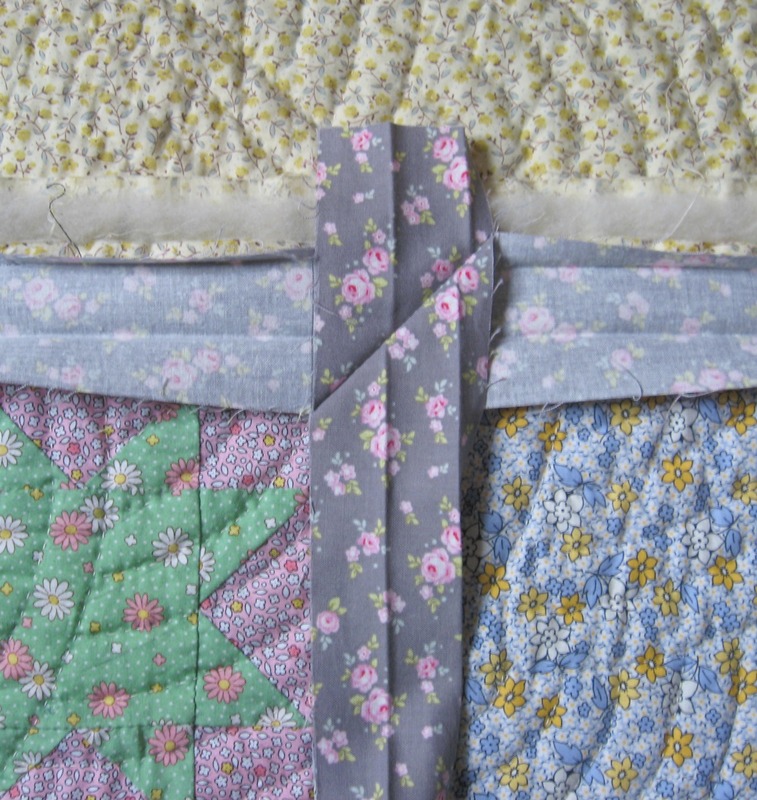 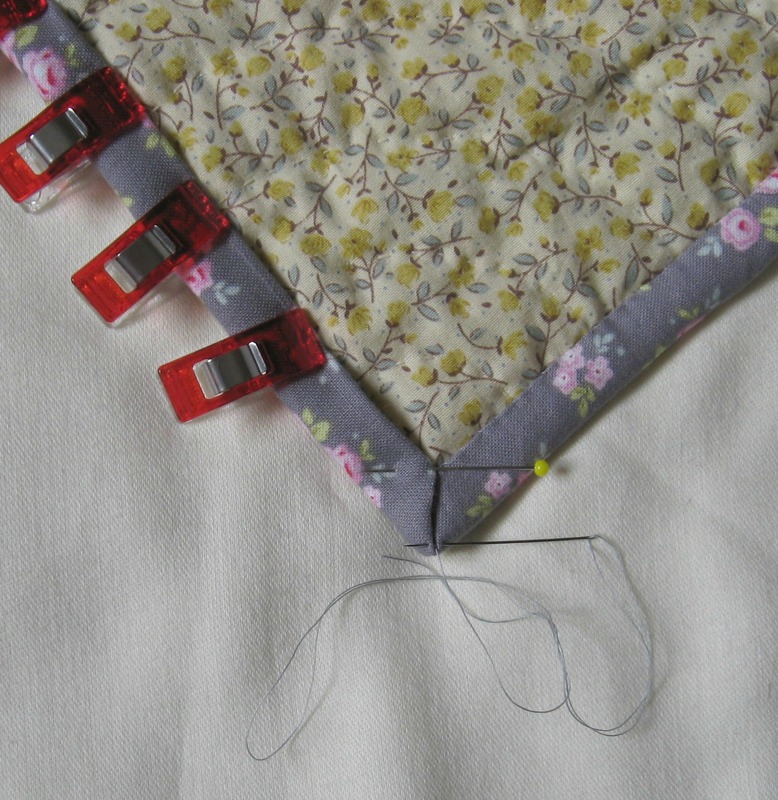 And as for all the little off cuts of wadding, I’m somewhat thrifty so they get saved, and I’m happy to overlap them a little and sew them together, perfect for doll quilts or for very small projects. 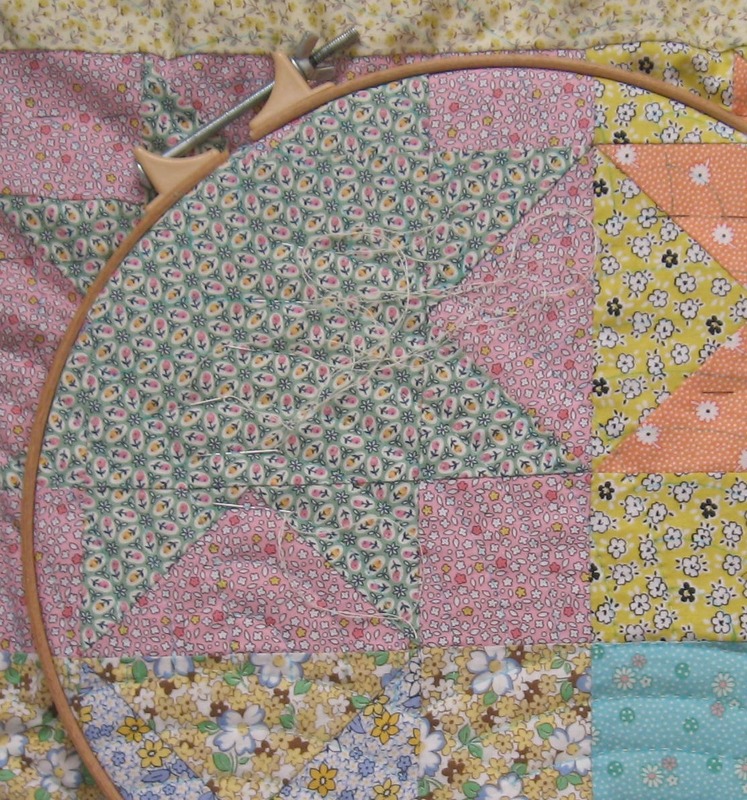 Some years ago I bought a huge reel of grey thread from a charity shop and it’s a lovely weight for embroidering writing, I’ve used a little back stitch for Pearl’s name, for Peggy’s name tag I used a stem stitch….I wanted to incorporate as many different details in the quilts as I could, but at the same time appreciate they may well be sharing a bedroom so the quilt tops compliment rather than clash. 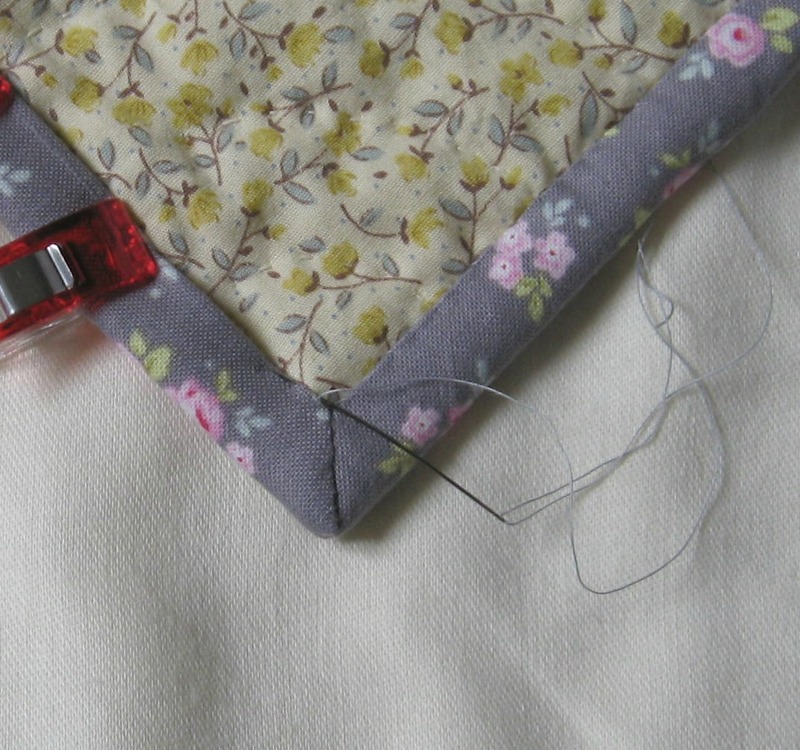 The last stage….finishing off with tiny stitches. 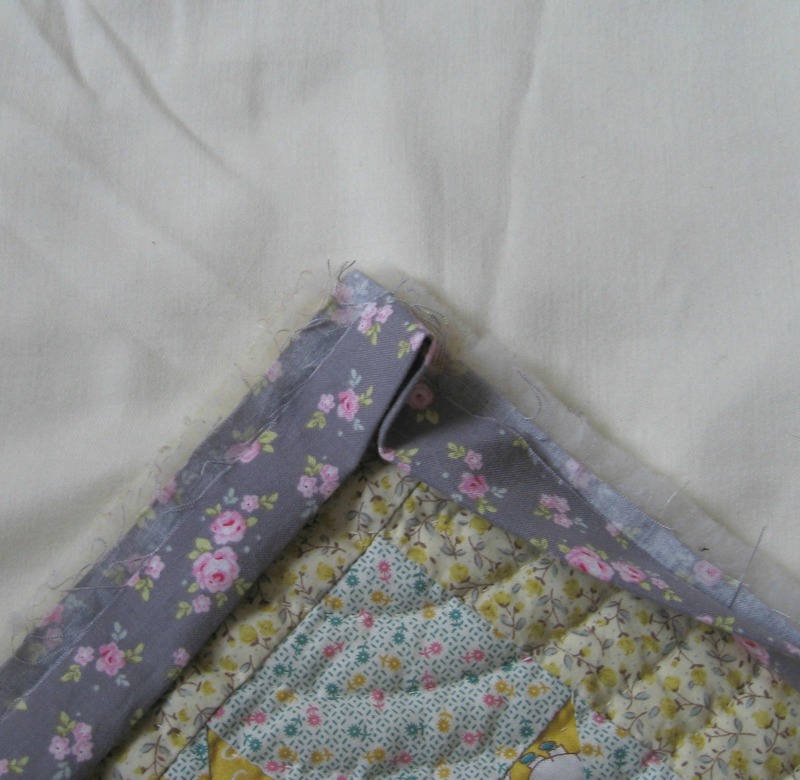 I always feel a bit sad, saying goodbye to something that’s been part of my life for the last few months. 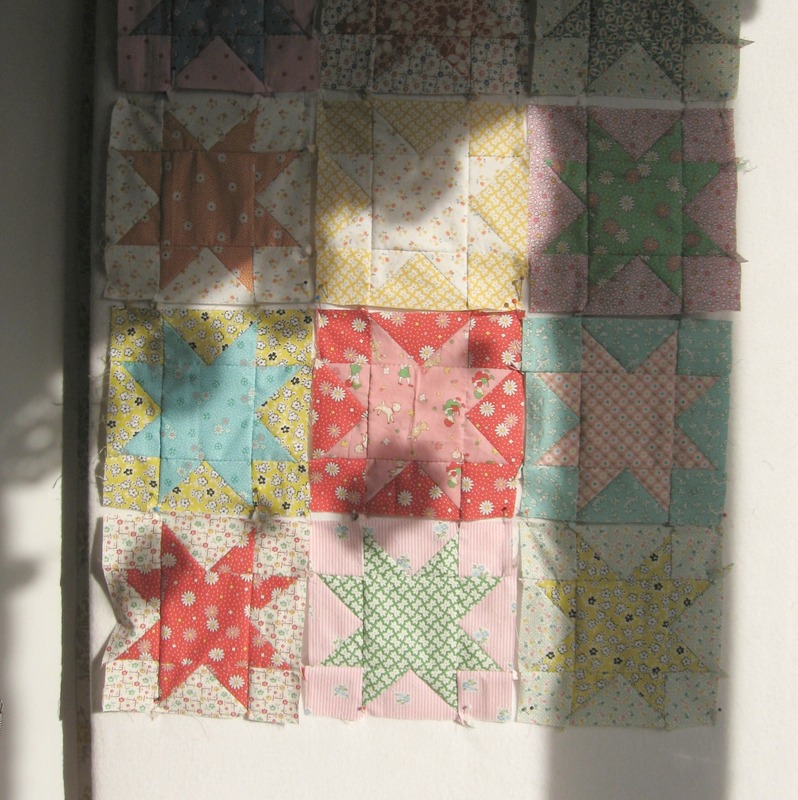 But sitting sewing, my work table dappled in sunlight and shadows makes for a happy parting. 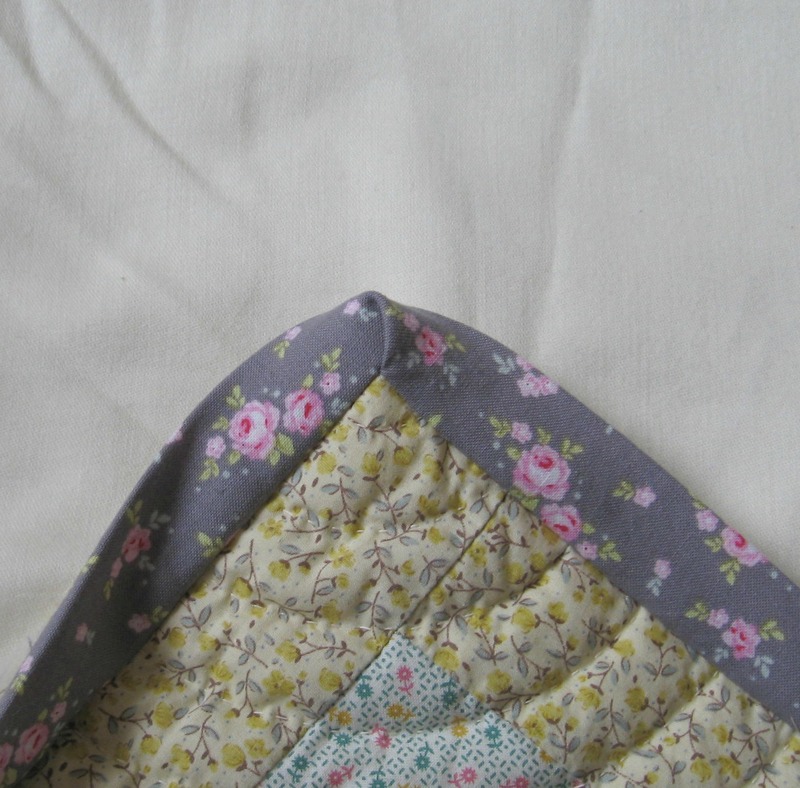 Both quilts have now gone to their new home, but if you would like to commission one for yourself or someone precious then both styles will soon be listed in my folksy shop or you can contact me directly if you would like something even more bespoke.